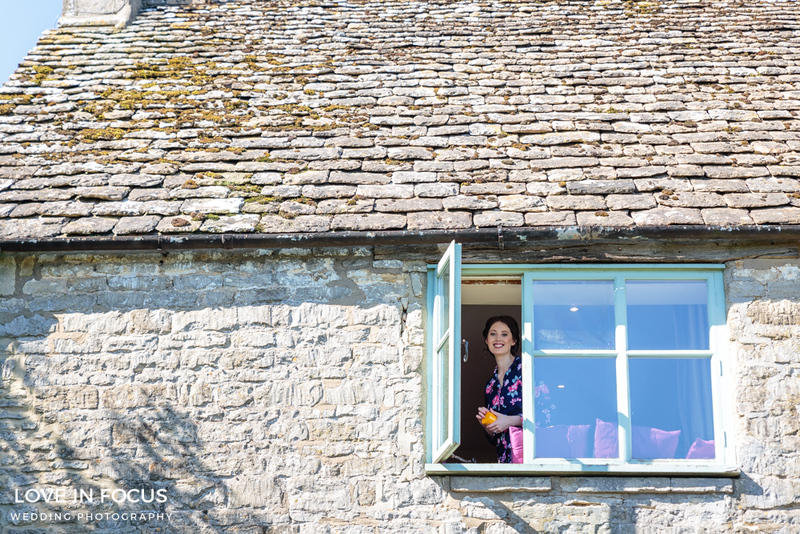 Getting to shoot Old Lodge Minchinhampton wedding photography and working with couples like Annabel and Sam make my job as a wedding photographer Gloucestershire so enjoyable. 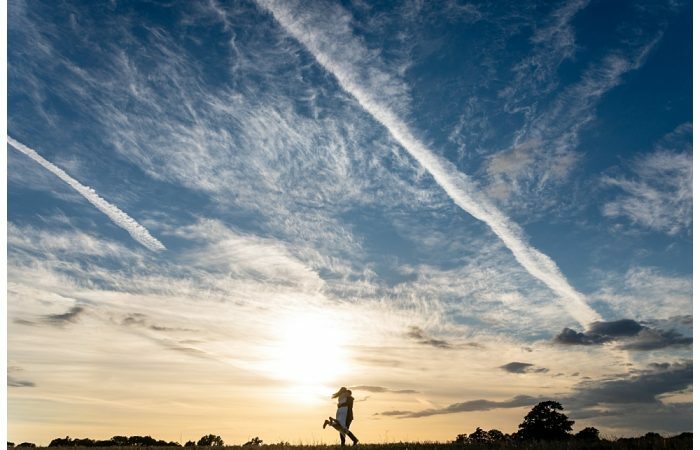 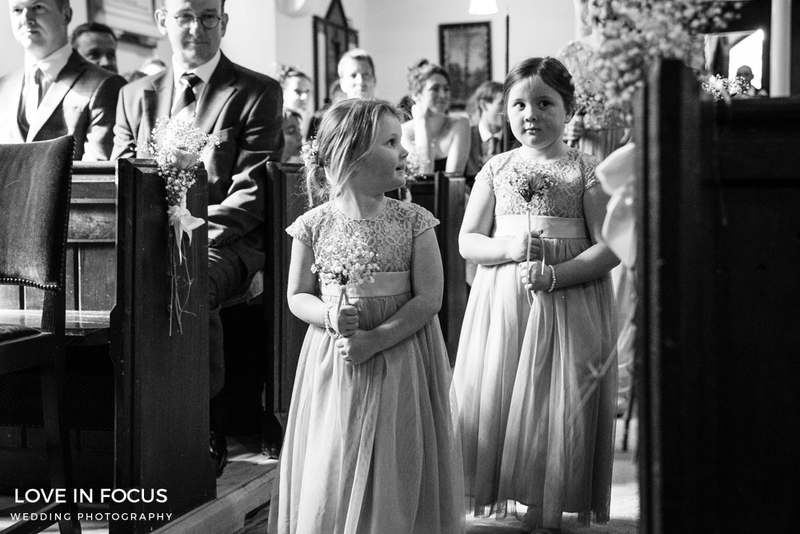 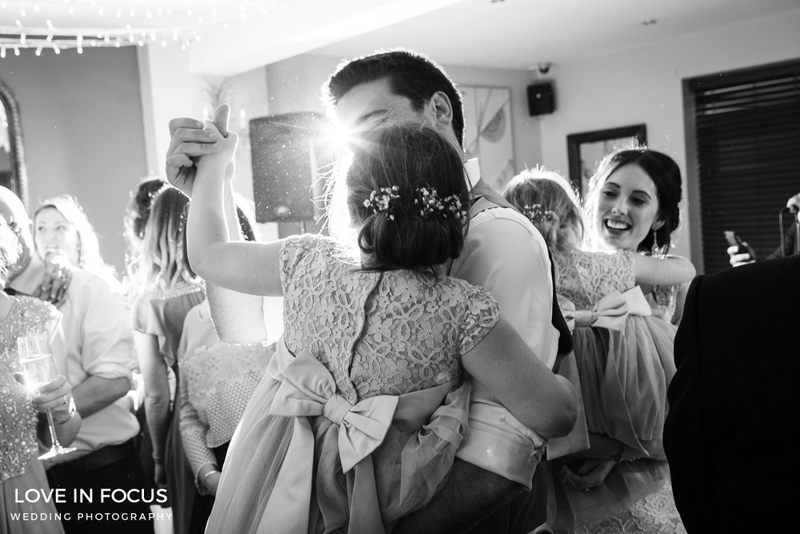 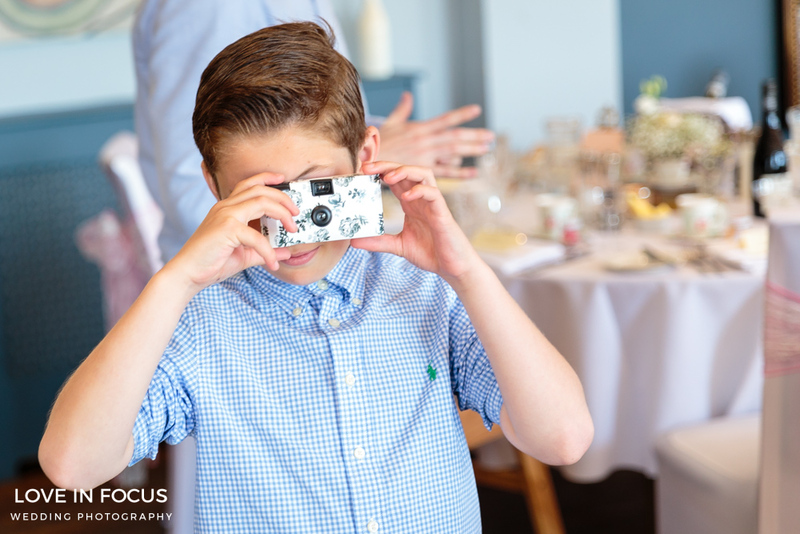 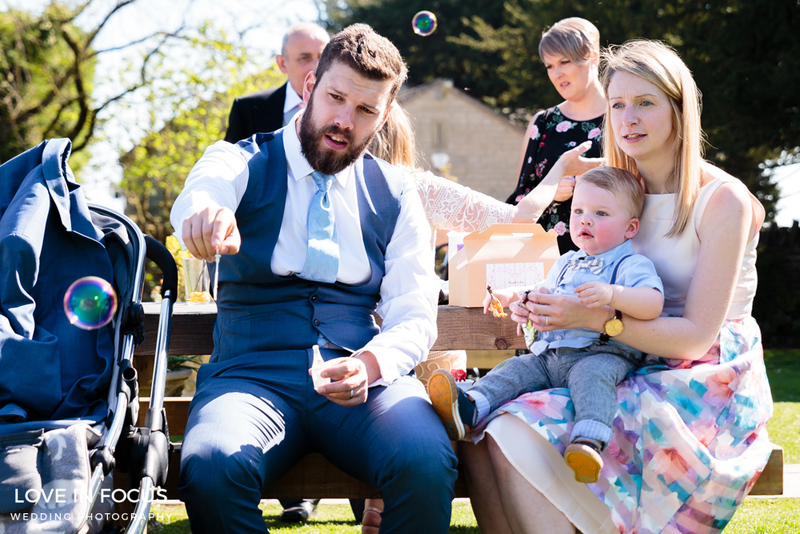 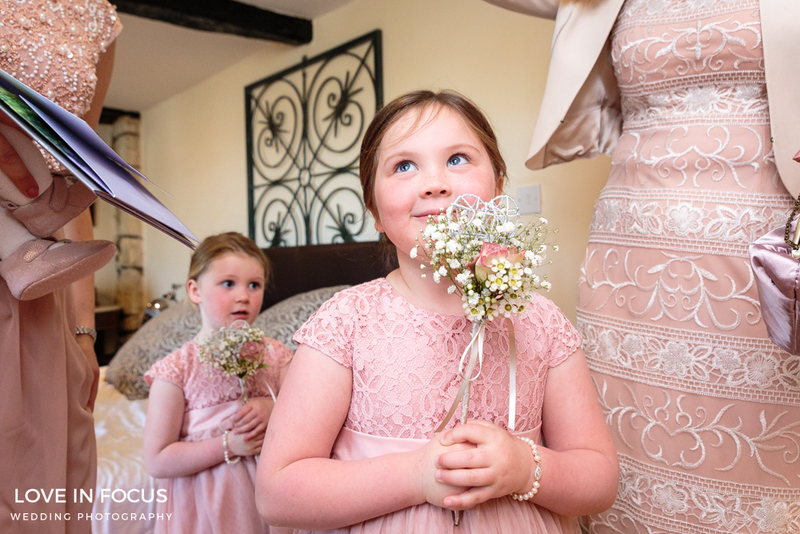 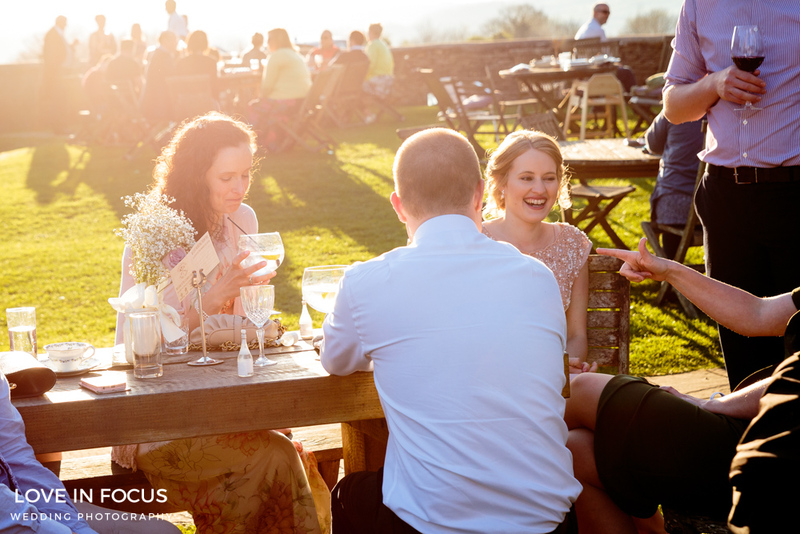 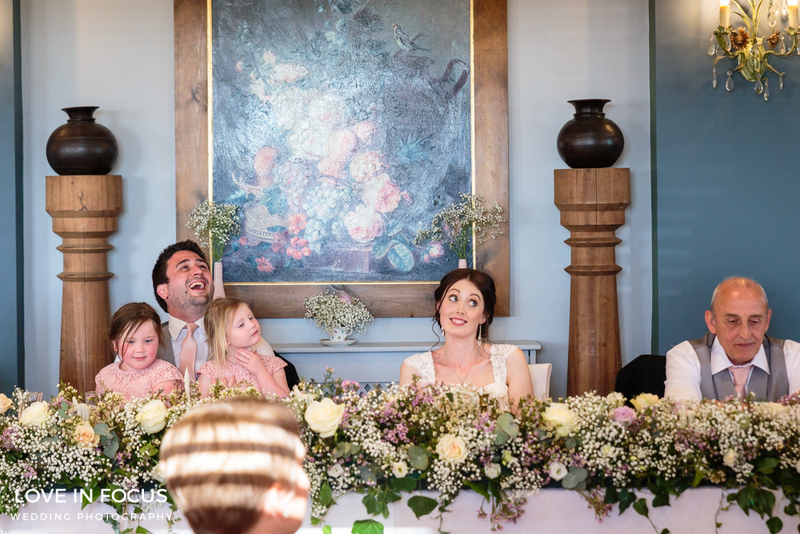 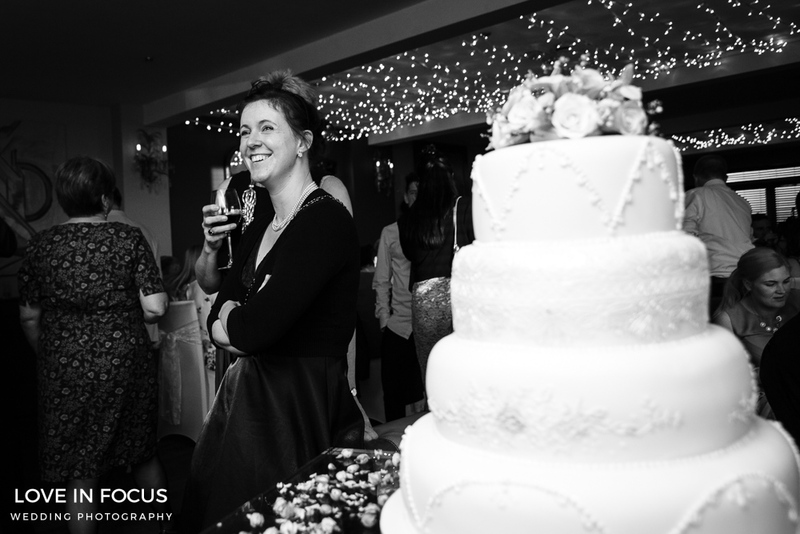 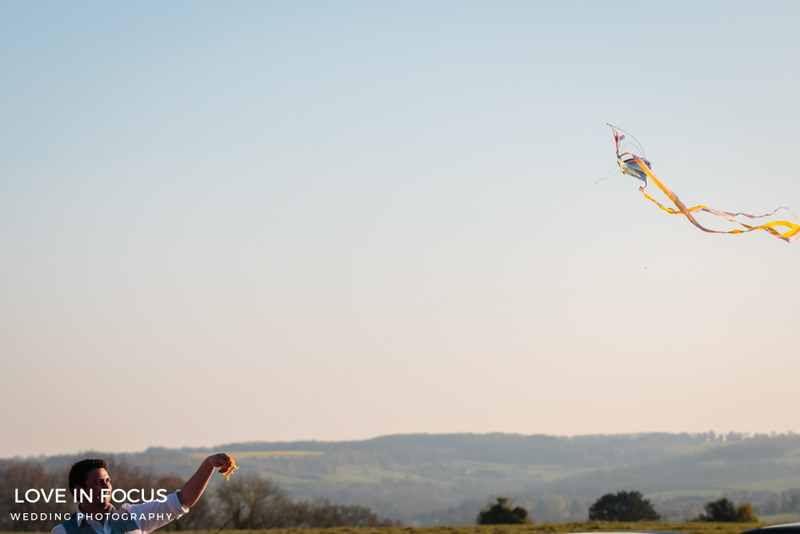 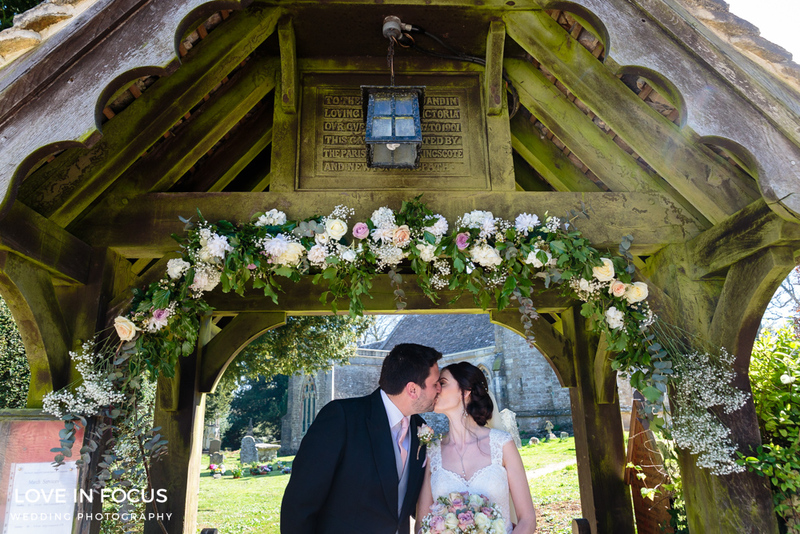 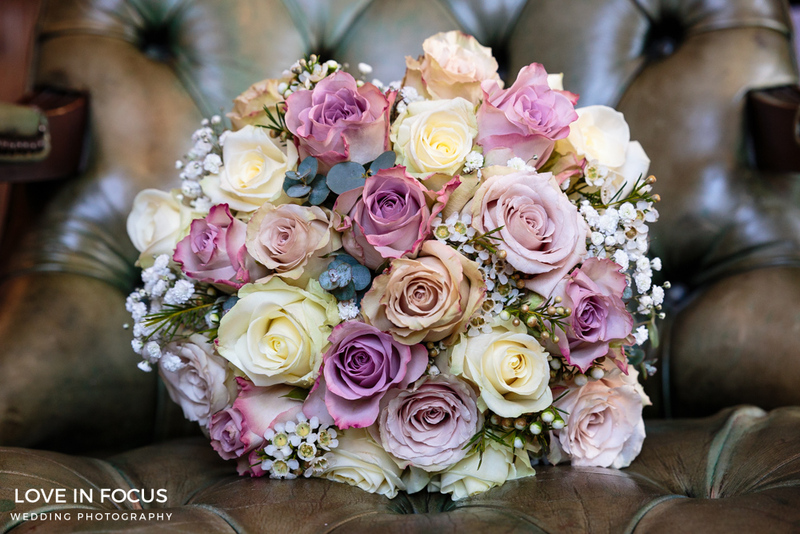 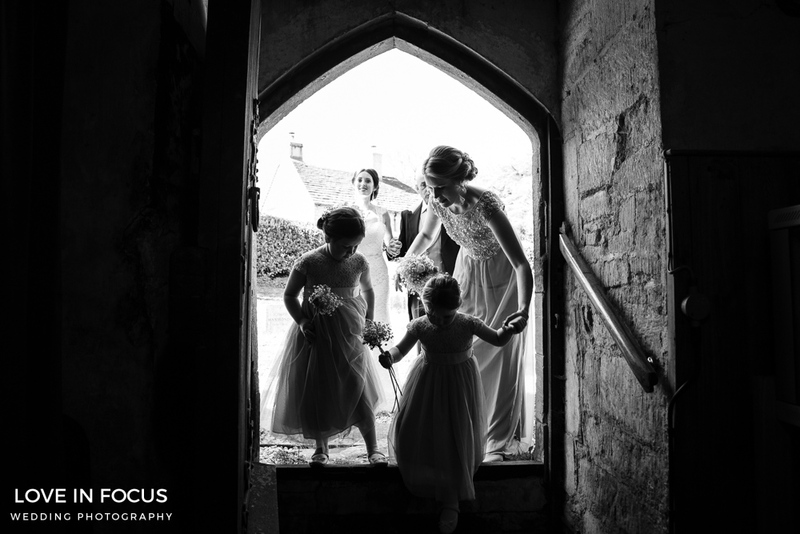 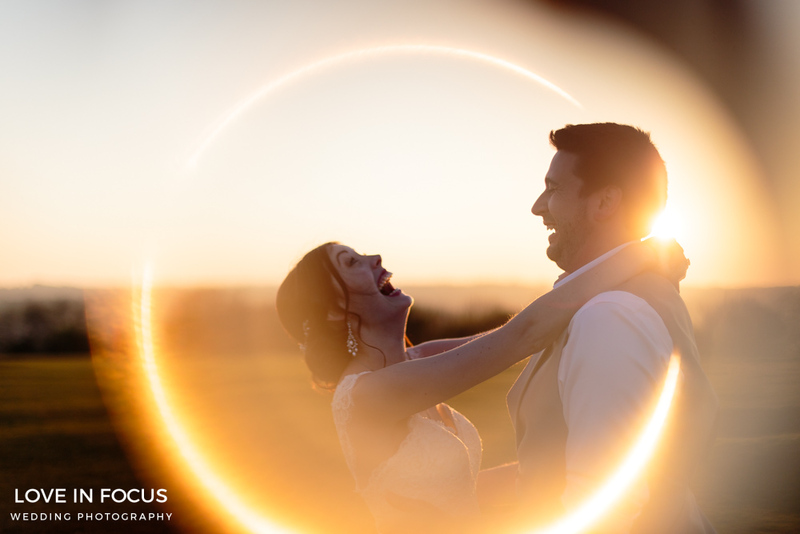 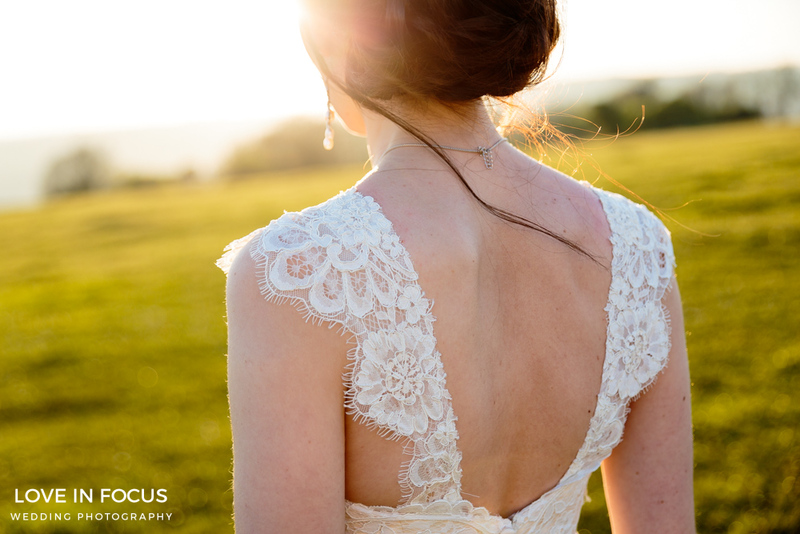 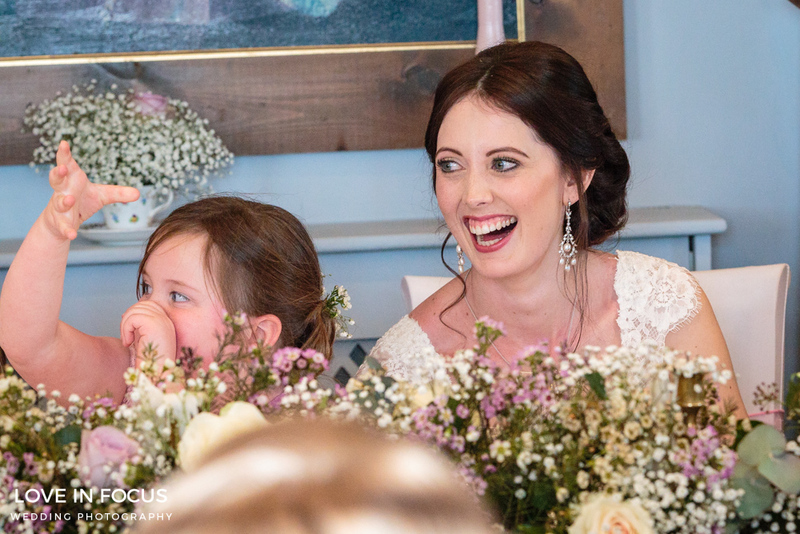 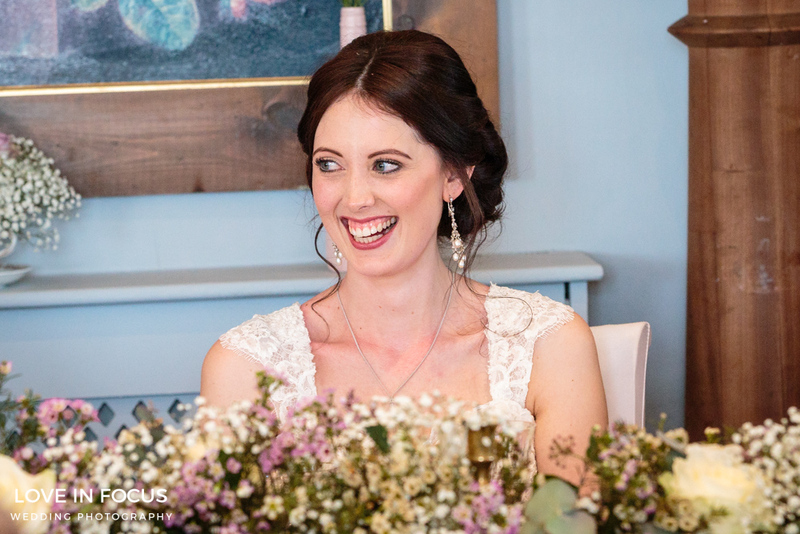 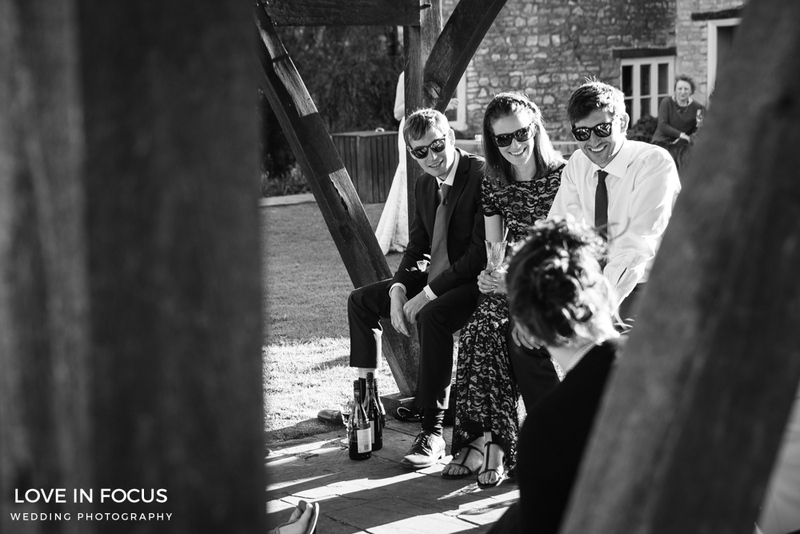 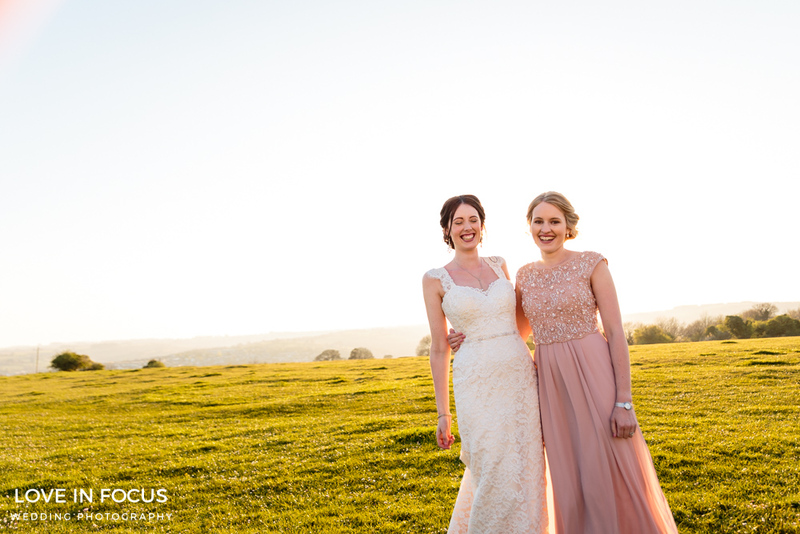 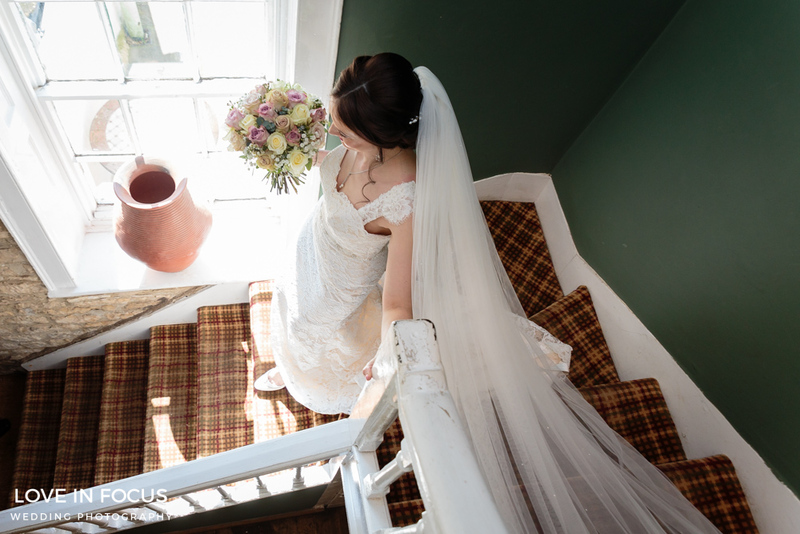 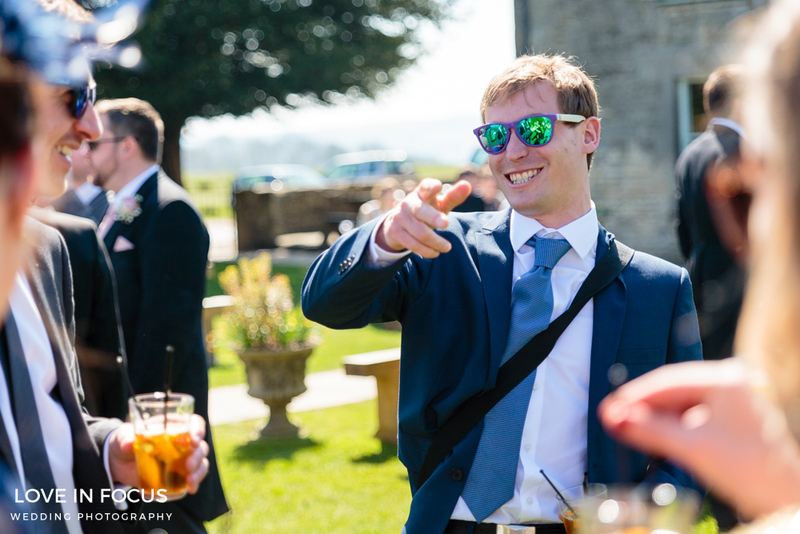 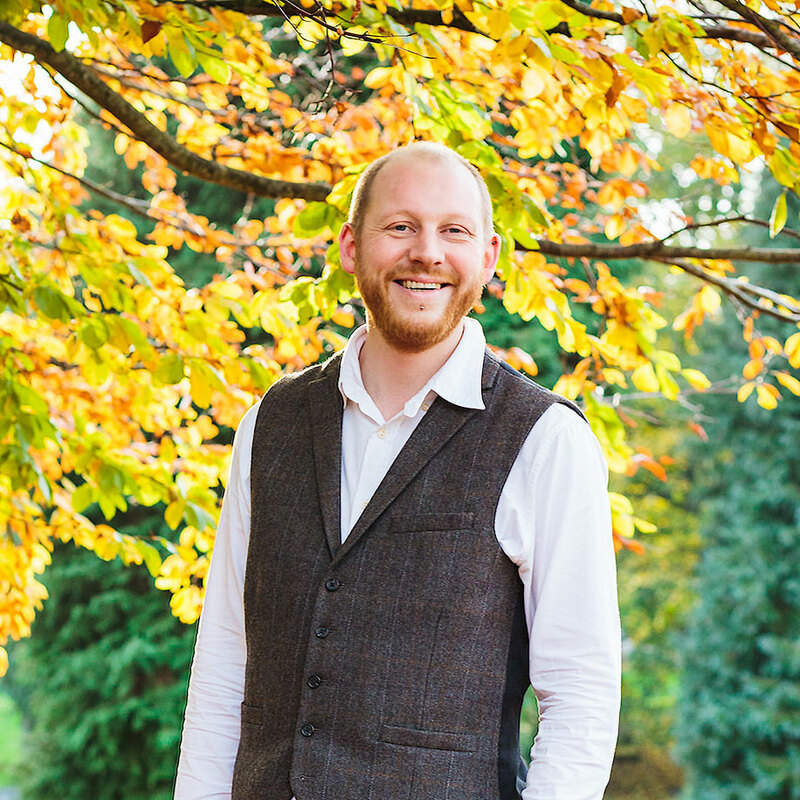 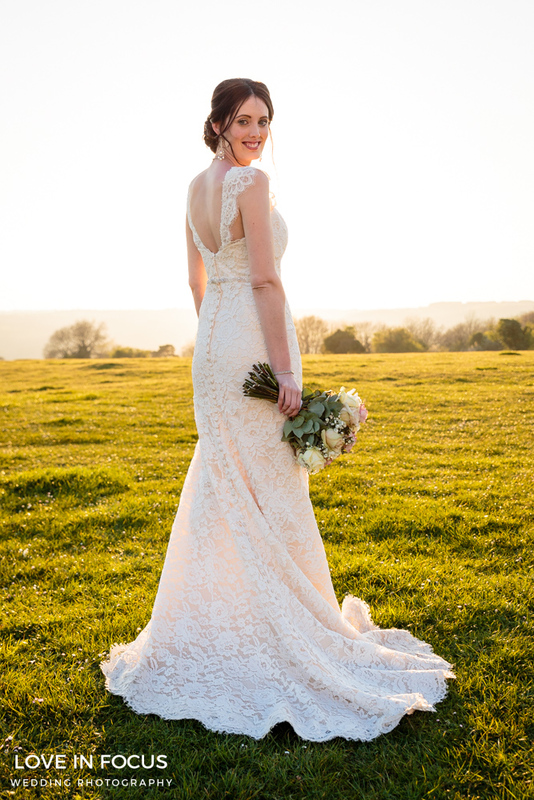 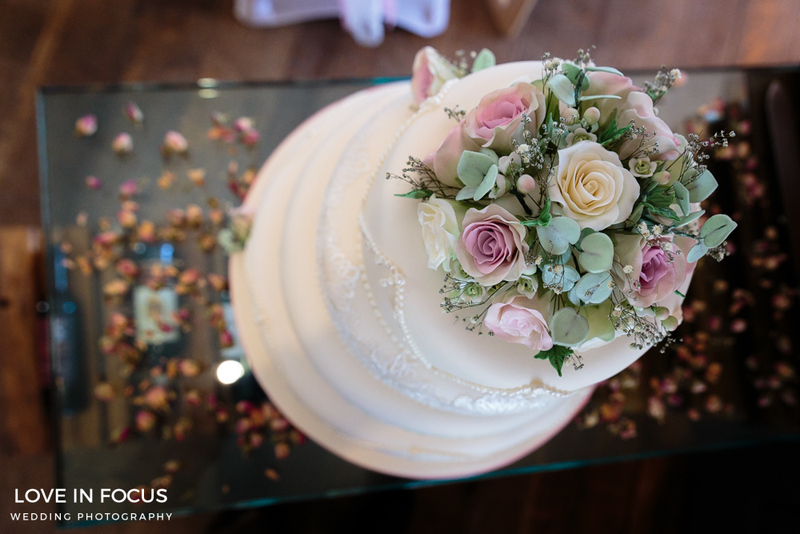 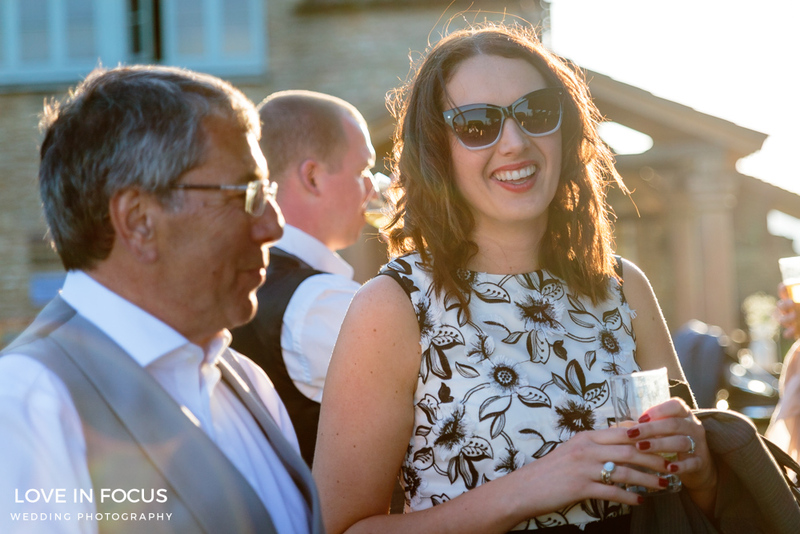 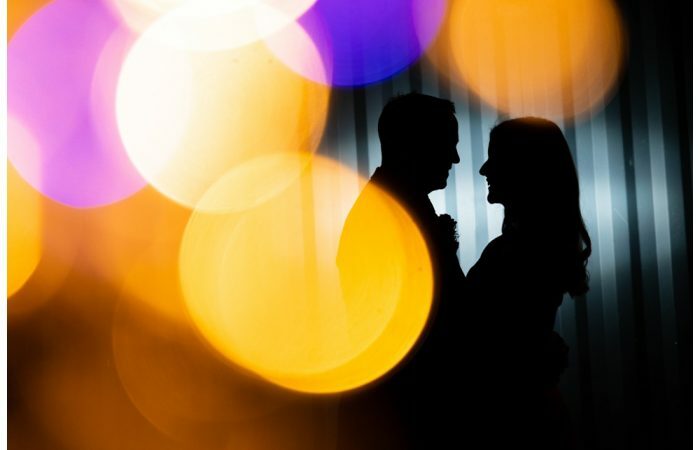 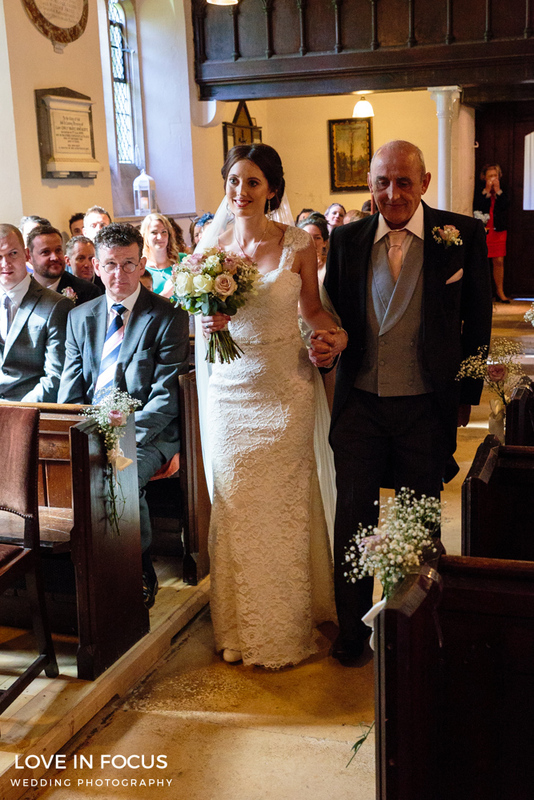 Add to that utterly gorgeous weather, a beautifully decorated venue, amazing food and great company and you have the perfect conditions for shooting Gloucestershire wedding photography. 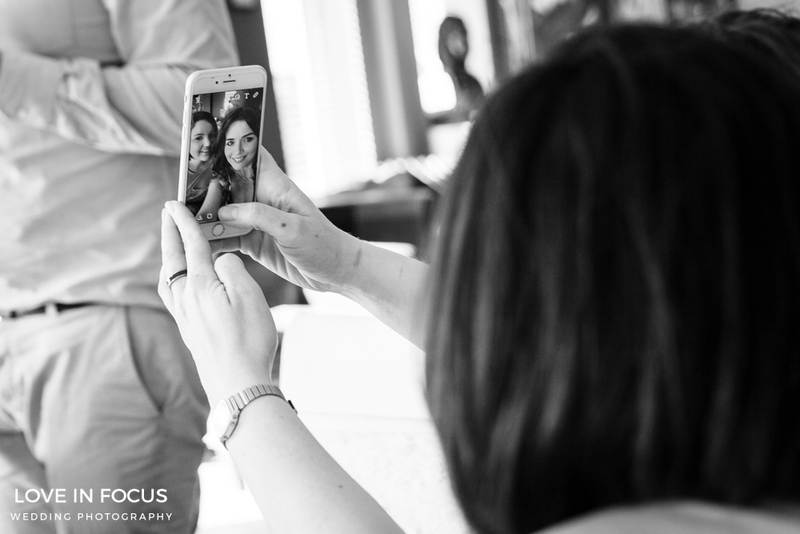 But I’m getting ahead of myself. 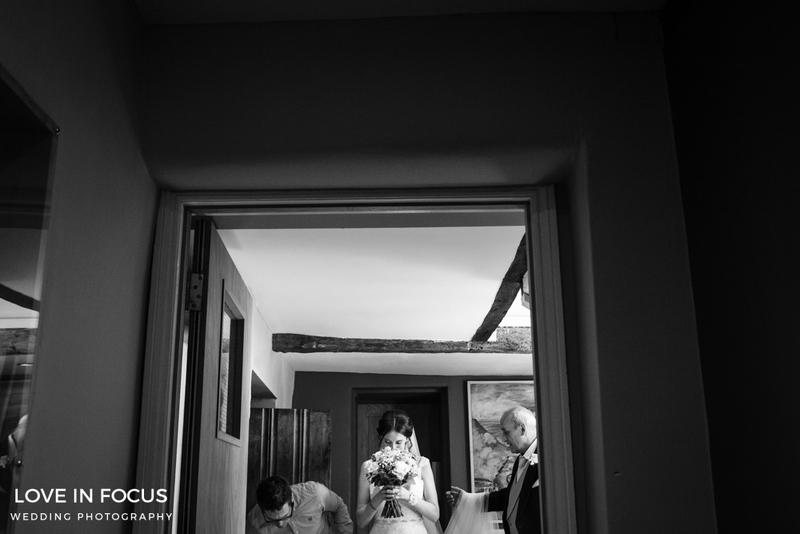 Let’s start Annabel and Sam’s day at the beginning. 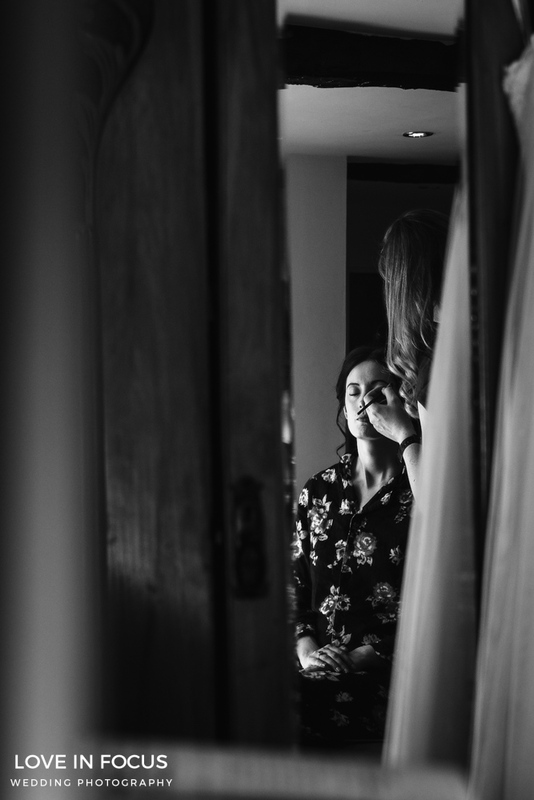 I arrived at Old Lodge Minchinhamton early so I could take some shots of Annabel as she got ready. 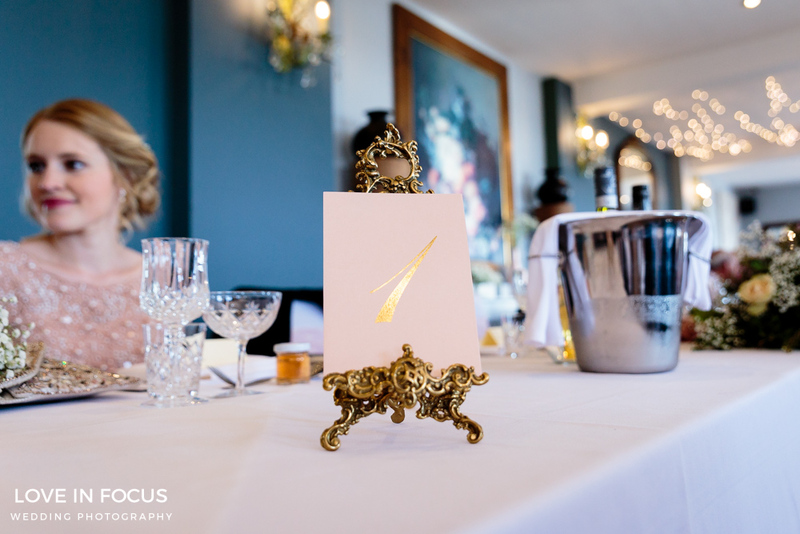 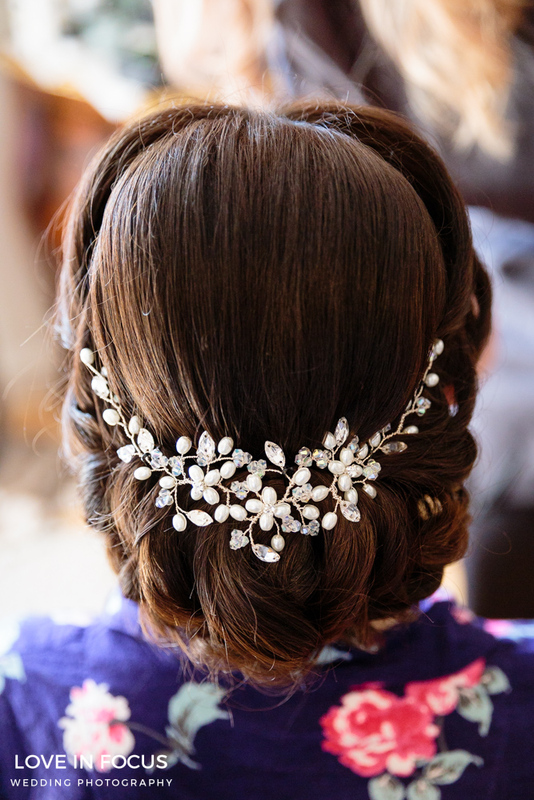 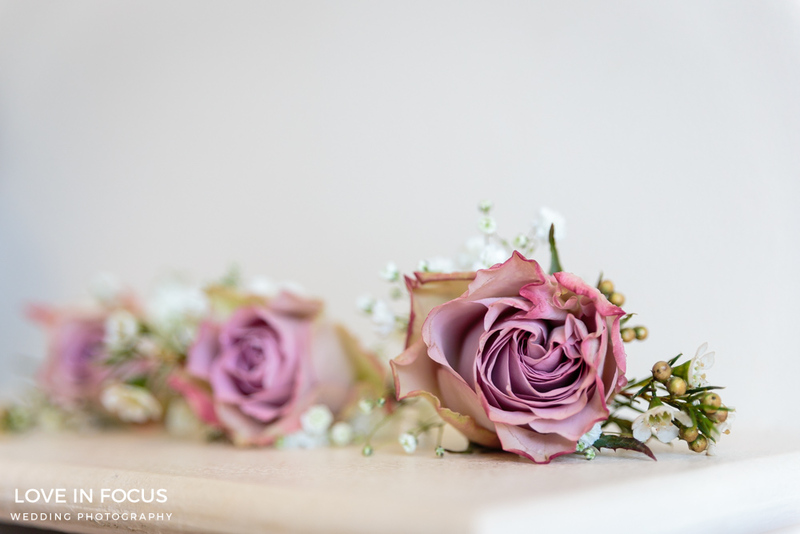 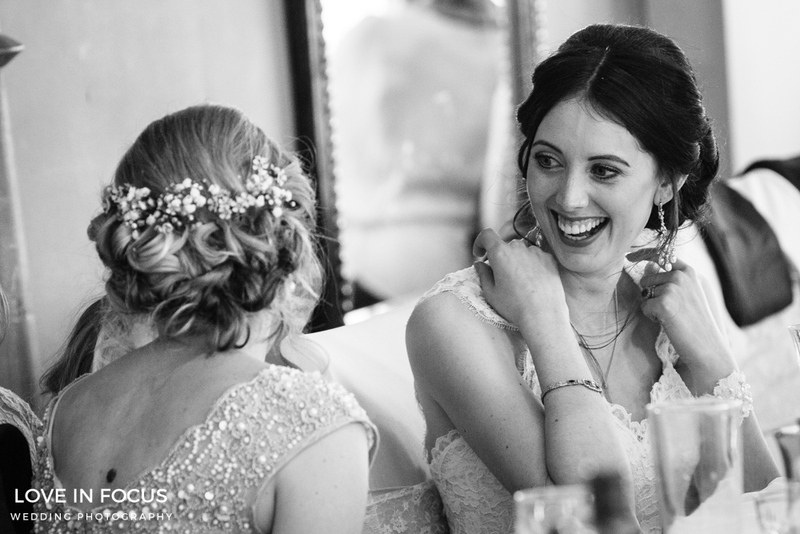 I always like to capture the anticipation, excitement and detailed preparation just before the wedding, every thought through little detail from hair accessories and jewellery to table decorations and favours. 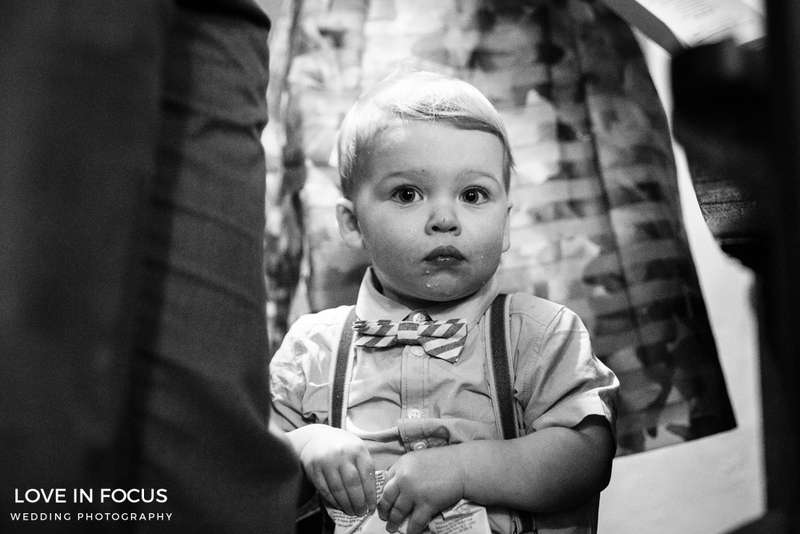 All waiting for the day to start. 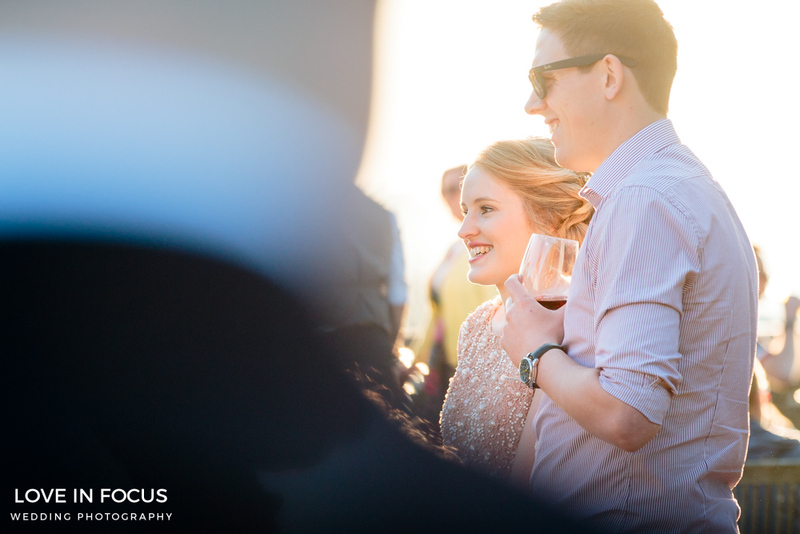 It is these unique little touches that always reveal the personalities of the couples I work with. 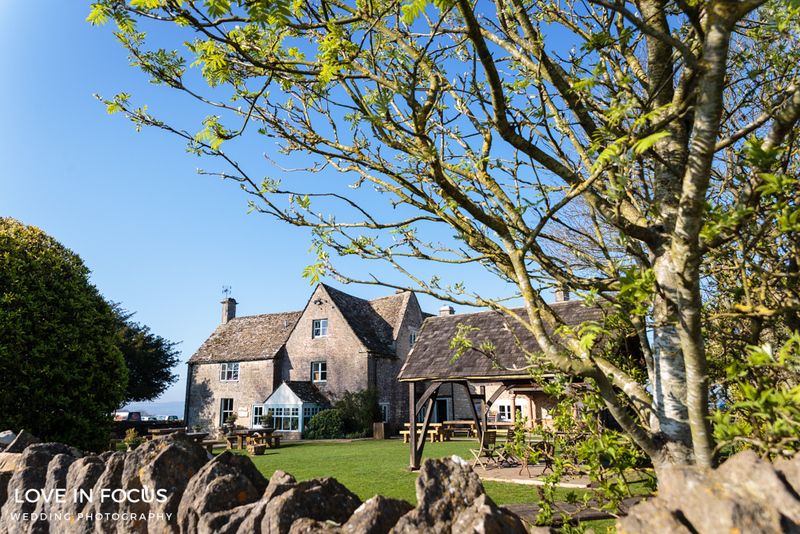 Old Lodge Minchinhampton is Annabel and Sam’s local pub, it is set in the heart of Minchinampton Common with spacious gardens and beautiful views across Stroud Valley and is renowned for its excellent food (wouldn’t we all love that as our local pub!) 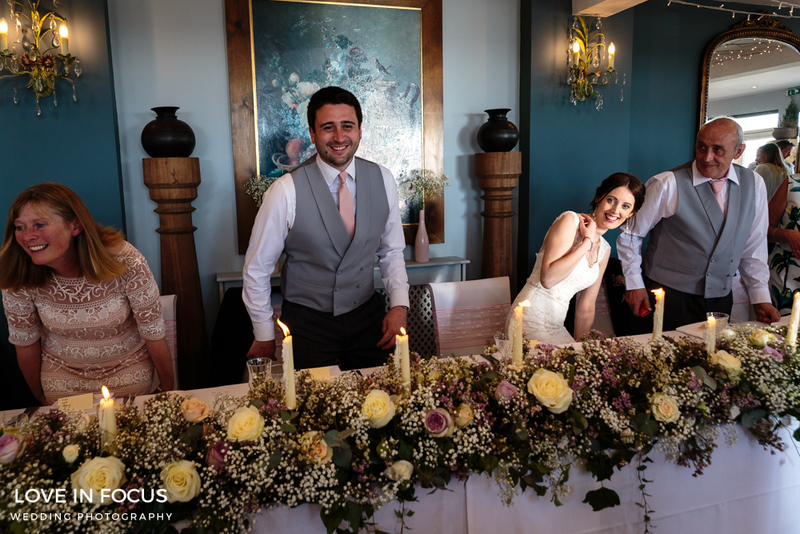 Annabel had helped decorate the reception room herself (she did the flower arrangements) and you will see from my images that it looked amazing. 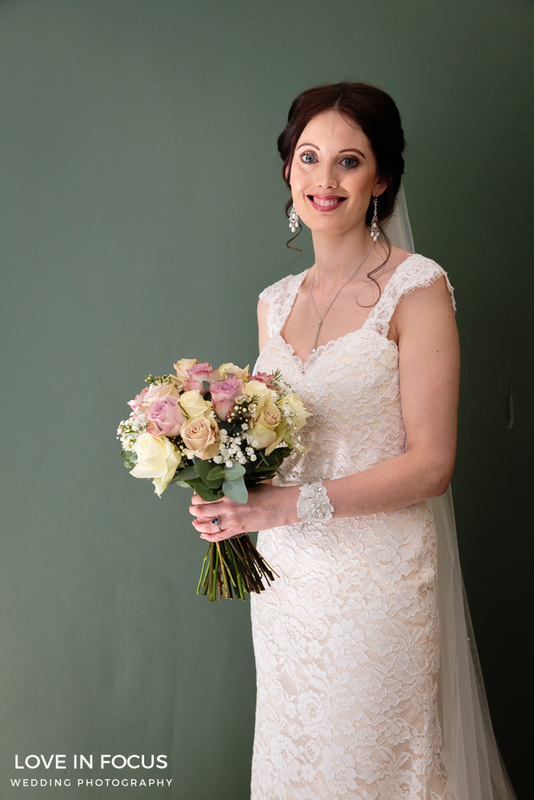 Annabel looked the image of elegance and understated glamour in her lace detail dress, complimented by a full veil and a stunning bouquet. 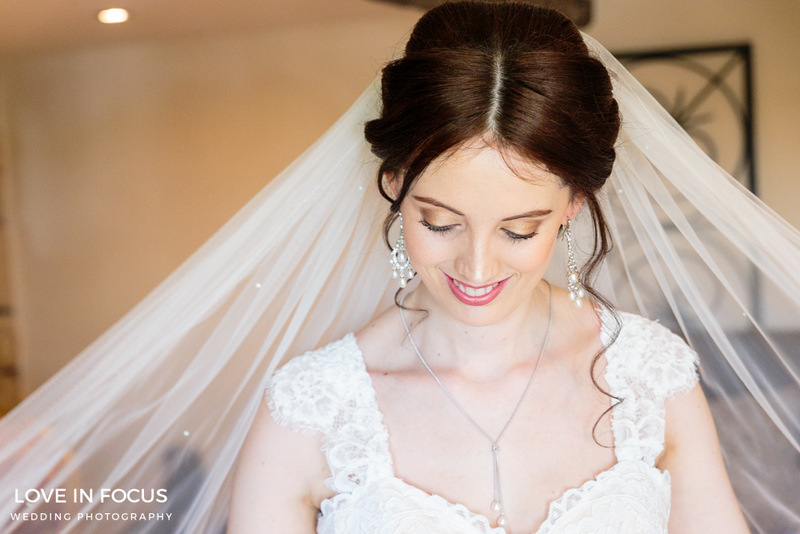 Hair and make-up was expertly provided by Abi Andrews Hair and Make-up in Tetbury. 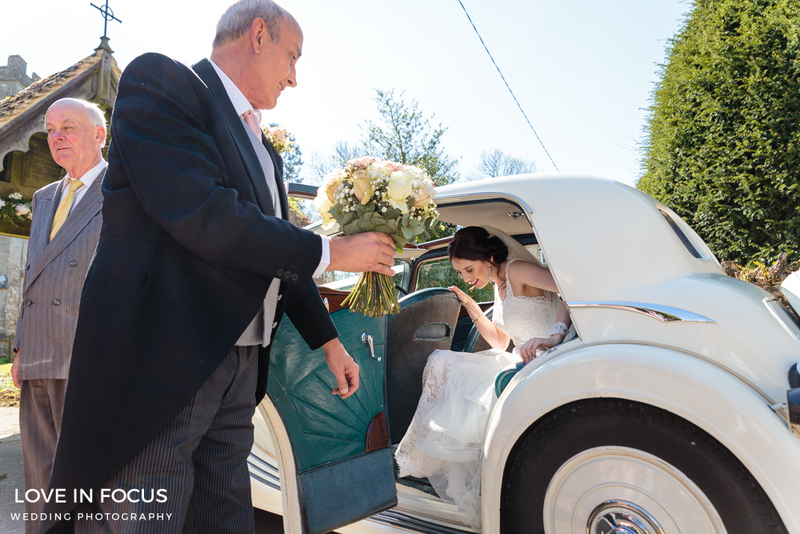 Once ready, Annabel, maid of honour Emily and two gorgeous bridesmaids all headed to St John’s the Baptist church in Kingscote for the ceremony with Annabel and her dad travelling in style in a luxury white vintage Triumph. 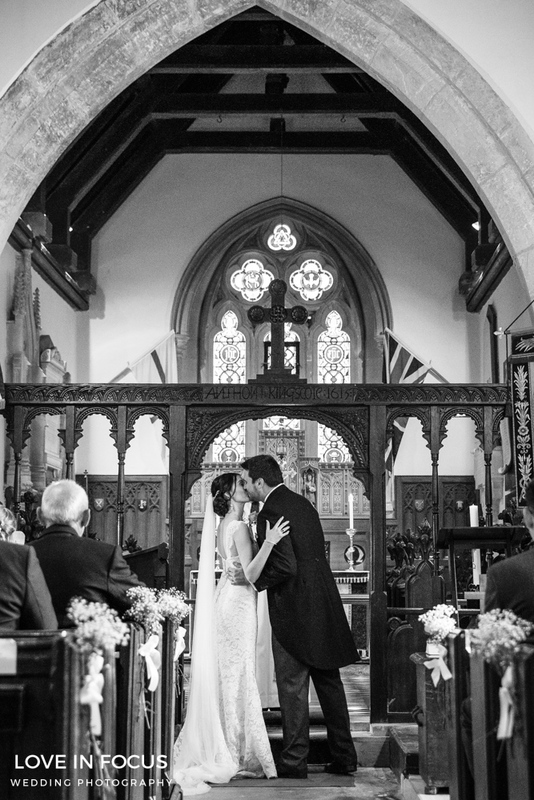 Sam was lucky enough to grow up in the pretty village of Kingscote. 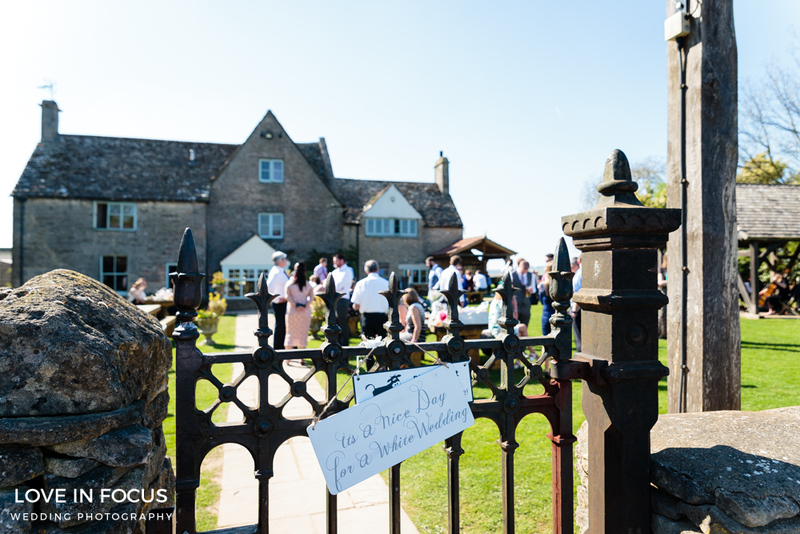 Set in the Cotswolds it is deemed an area of outstanding natural beauty. 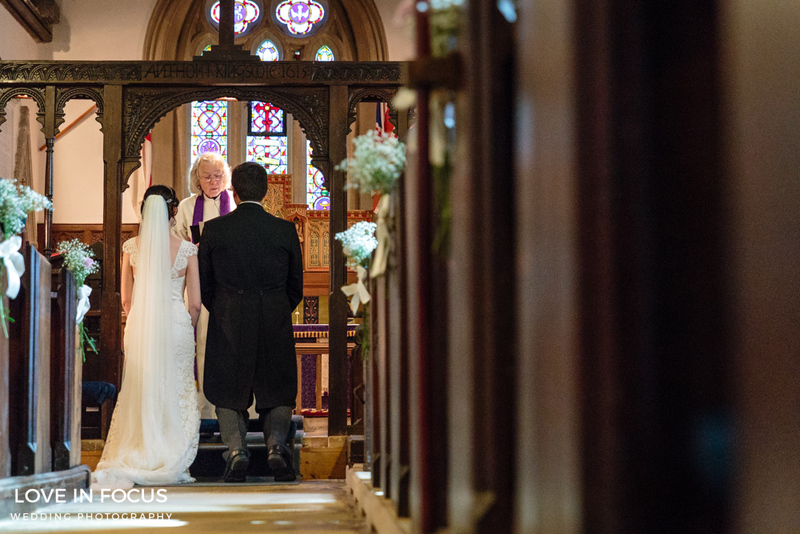 The church of St John’s the Baptist has been a central place of worship for the village for the last 800 years and is as relevant to village life today as it was back then. 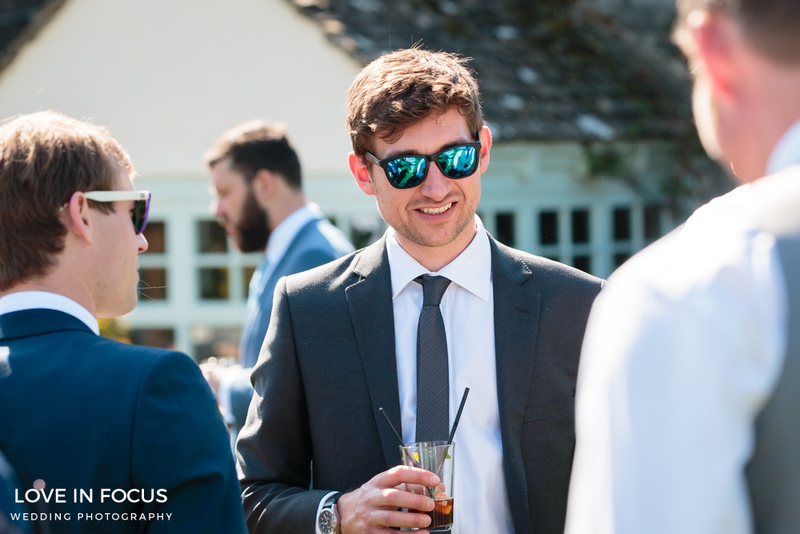 I managed to catch a couple of shots of Sam just before the ceremony who was looking relaxed and happy. 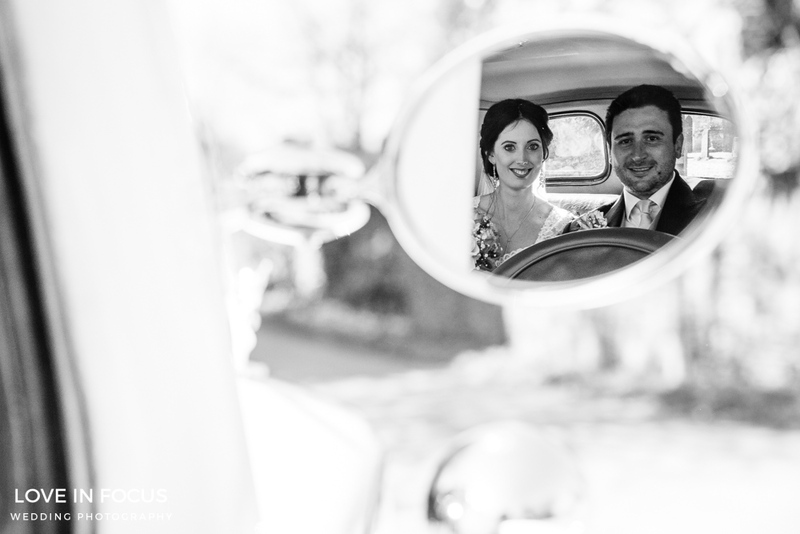 After a beautiful ceremony I took a few portrait shots of Annabel and Sam under the churches pretty porch and in the wedding car before everybody headed to Old Lodge for the reception. 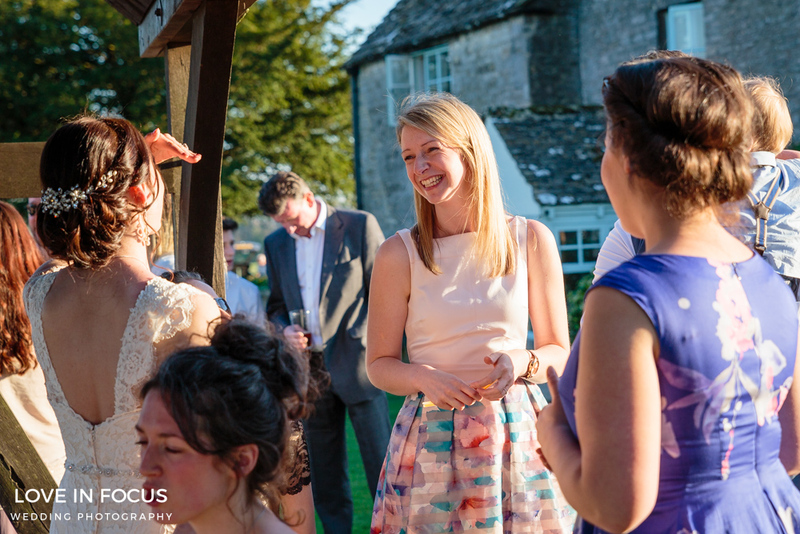 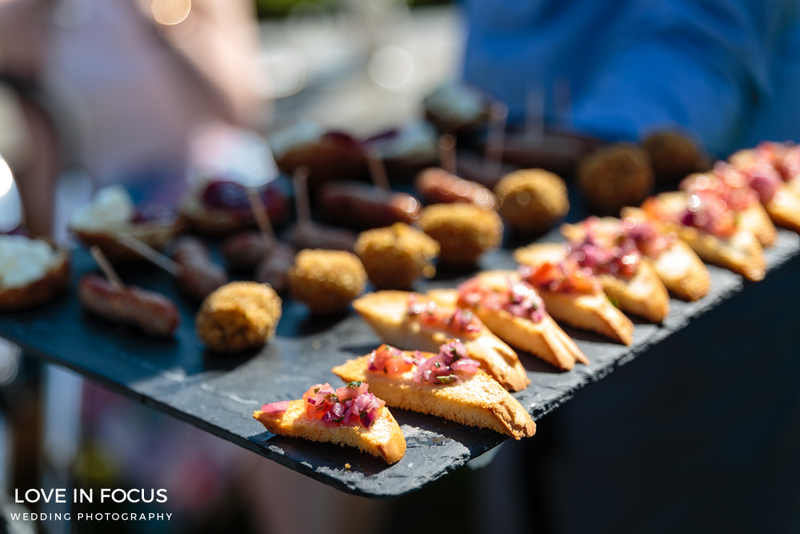 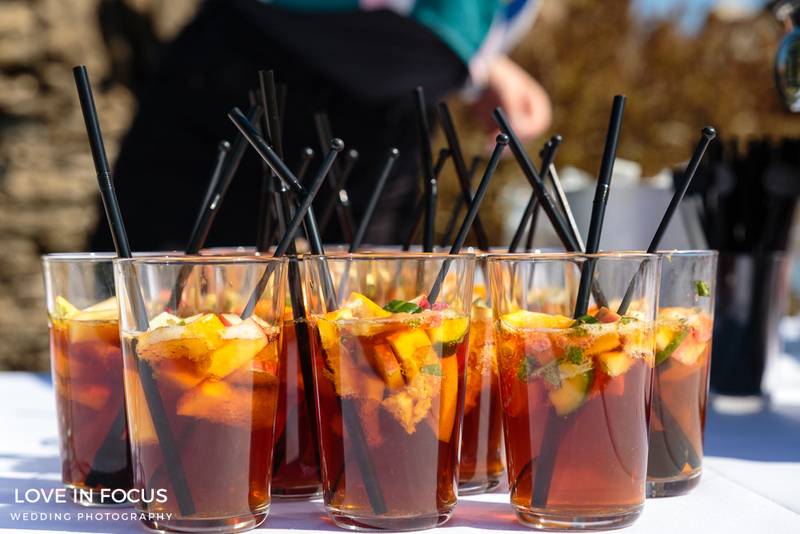 On arrival Annabel, Sam and their guests enjoyed a drinks and canape reception in the garden giving them a chance to take in the gardens and soak up some of the very welcome sunshine. 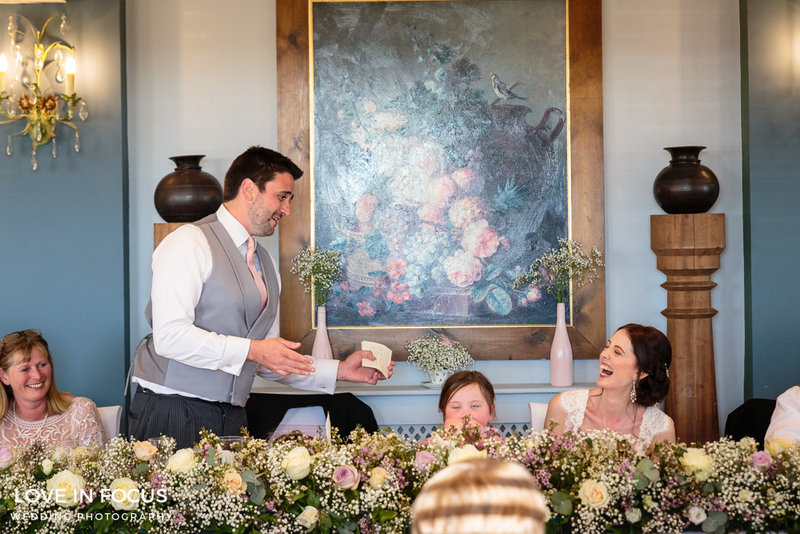 The reception venue was decorated largely by Annabel and it looked so pretty and charming, telling everybody something of Annabel’s excellent taste and eye for colour and detail. 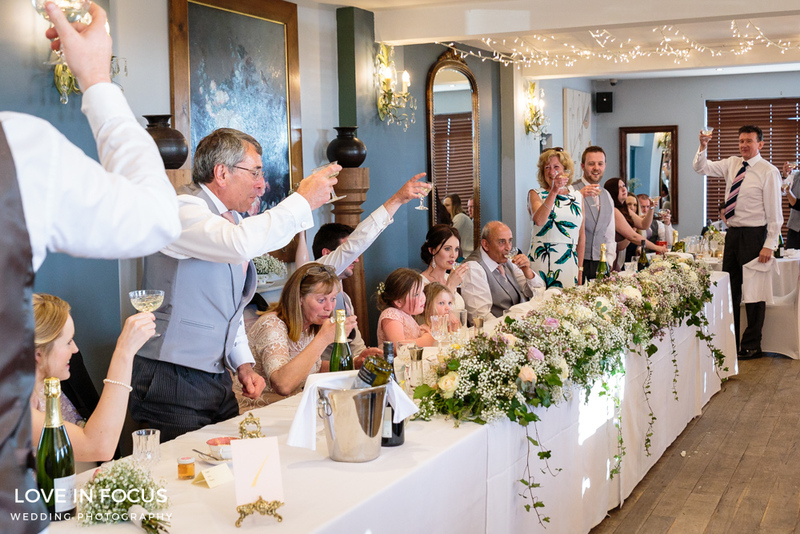 Once seated everybody was treated to a wonderful wedding breakfast, prepared by the Old Lodge’s award winning chefs and there were some very well received speeches. 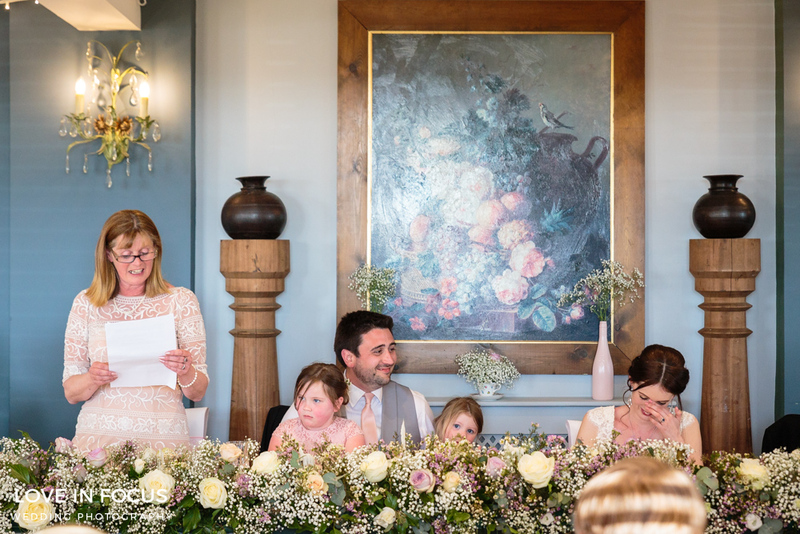 In a break from tradition, the father of the bride speech was delivered by the mother of the bride. 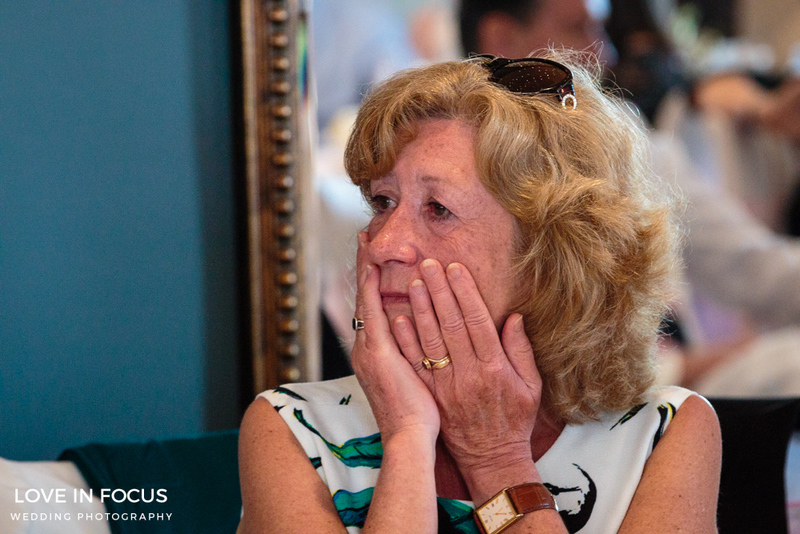 Not that Annabel’s dad minded, he was clear that mum would do a better job and added that he hadn’t got a word in for Annabel’s whole life so why should he start now! 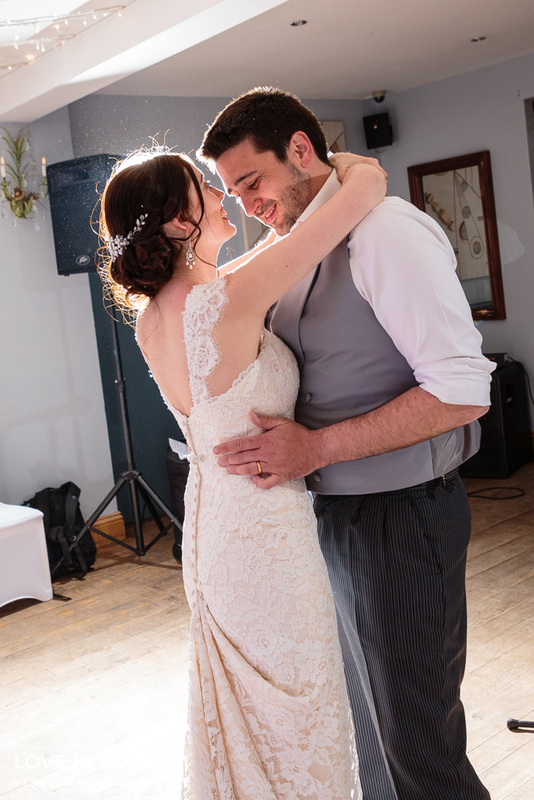 I learned during the speeches that after just a few months of being together Sam got a job offer that he couldn’t refuse in Australia so Annabel went with him, it all worked out really well which pretty much sealed the deal on their relationship. 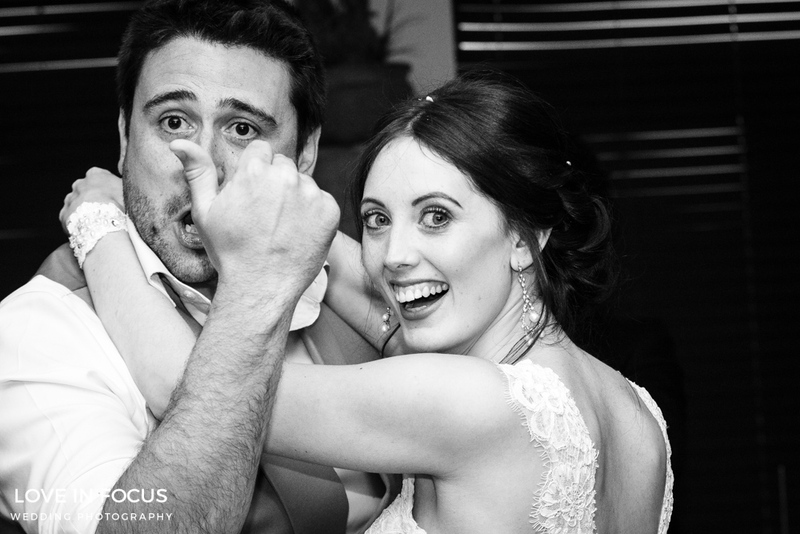 So in Annabel and Sam’s case, love definitely blossomed in good old Oz! 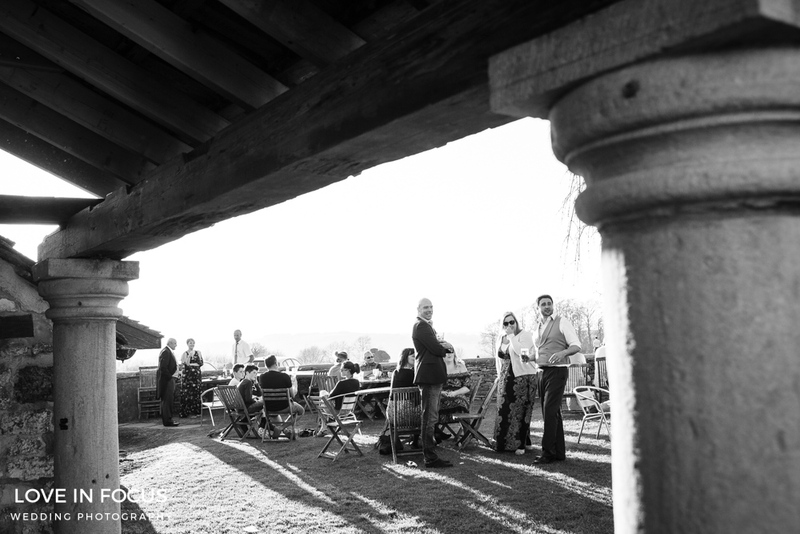 After the meal everybody went outside again to enjoy the last of the fading sunshine on this unseasonably sunny day. 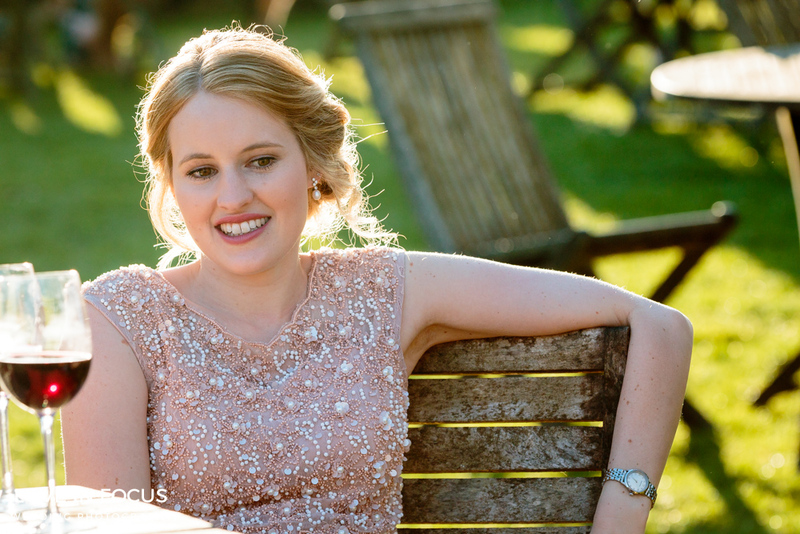 (I actually got sunburnt!) 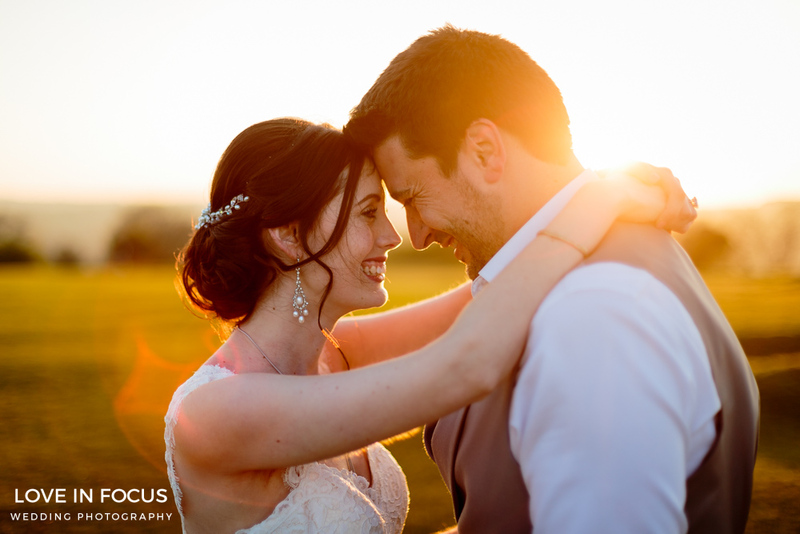 And I took advantage of the exquisite light and took some romantic portrait shots of Annabel and Sam as the sun set behind them. 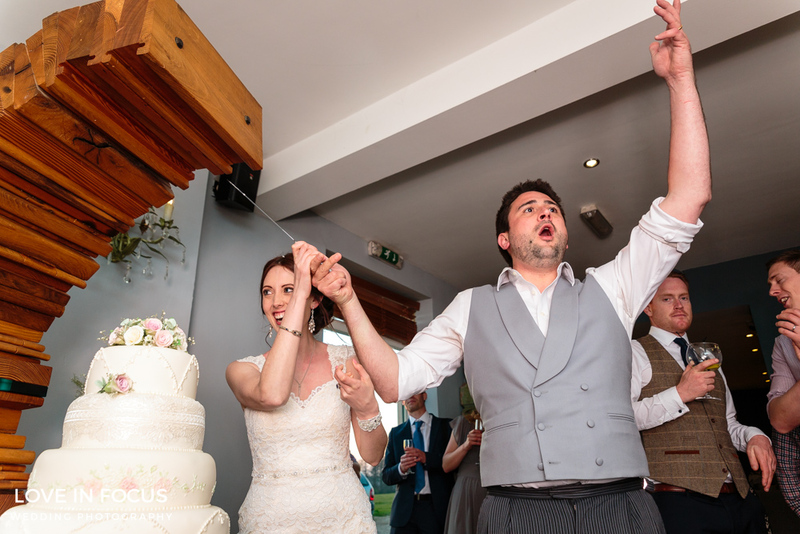 Then it was back inside for the cutting of their impressive four tiered wedding cake before the first dance. 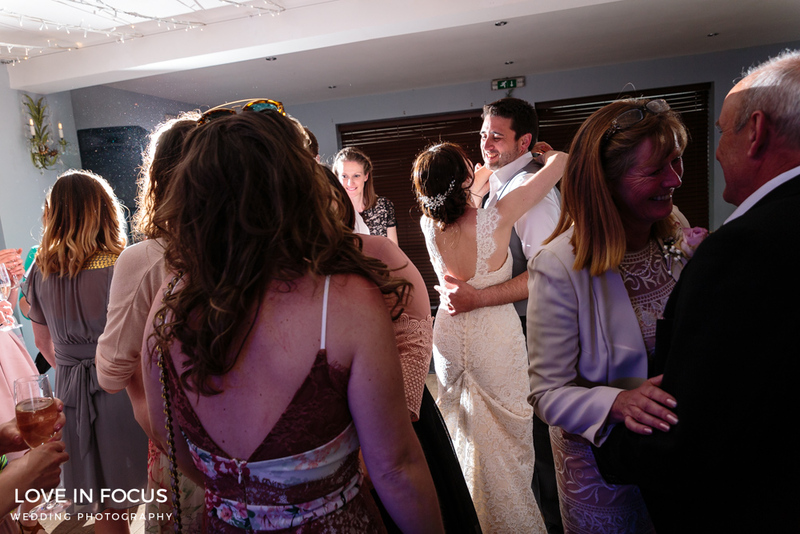 Where Annabel and Sam were quickly joined on the dancefloor by their family and friends, where many stayed for the remainder of the evening. 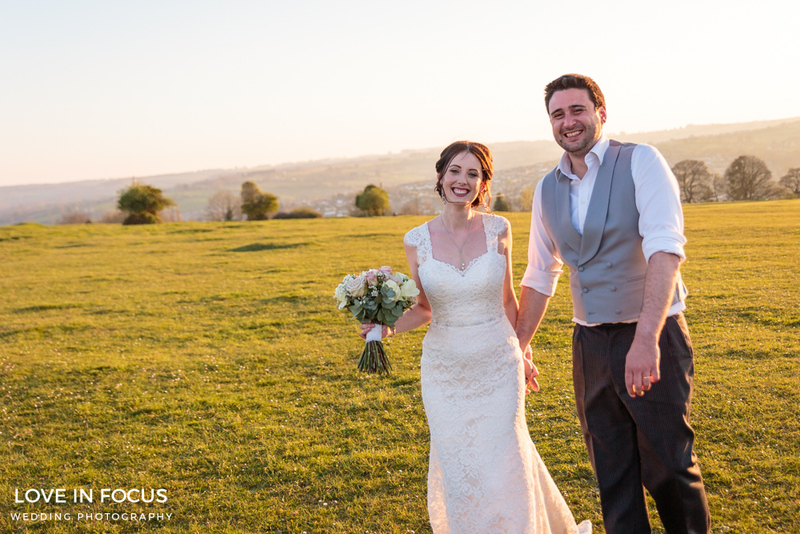 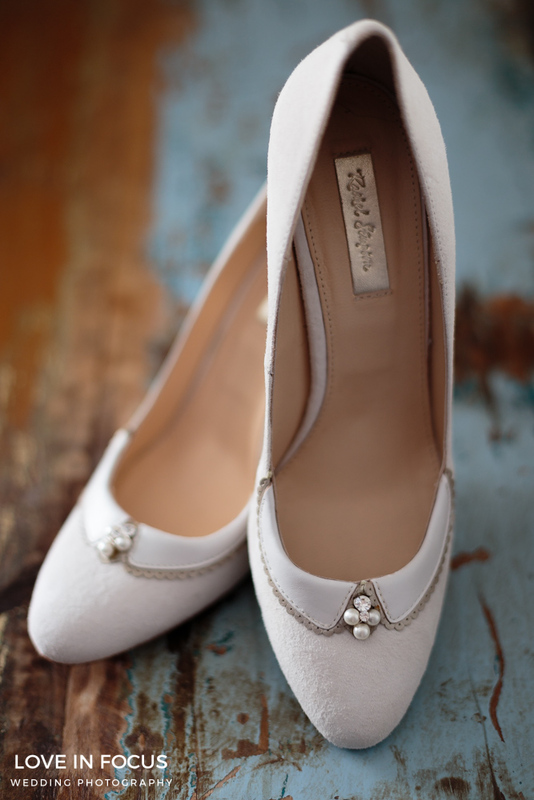 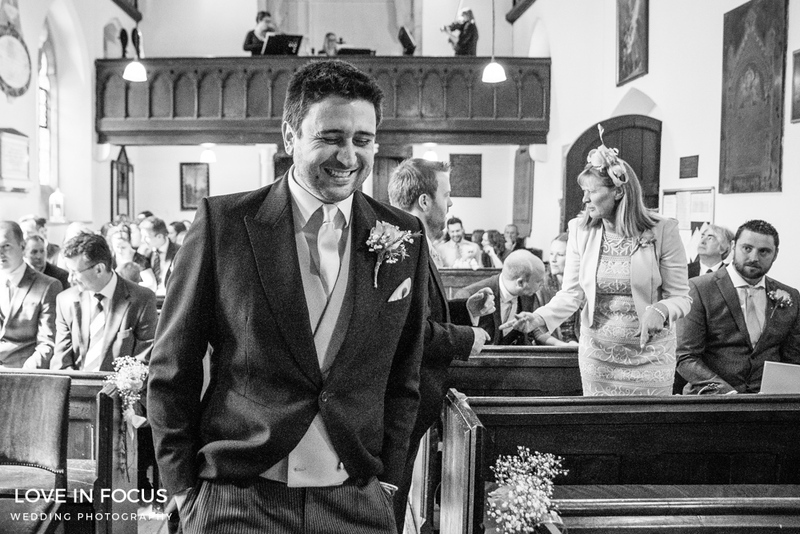 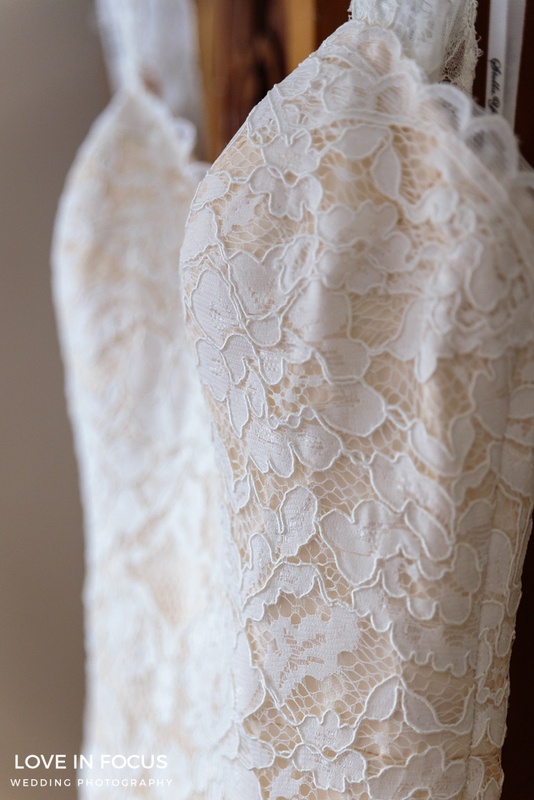 A gorgeously sun soaked, stylish wedding for this laid back couple. 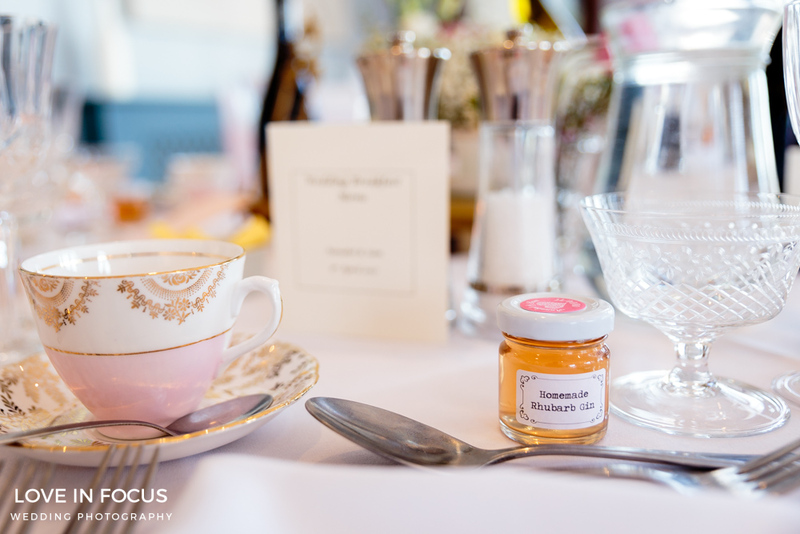 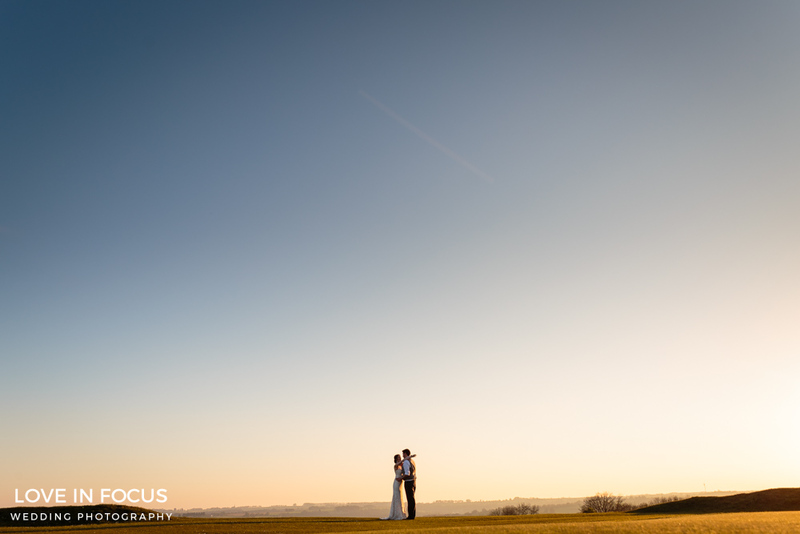 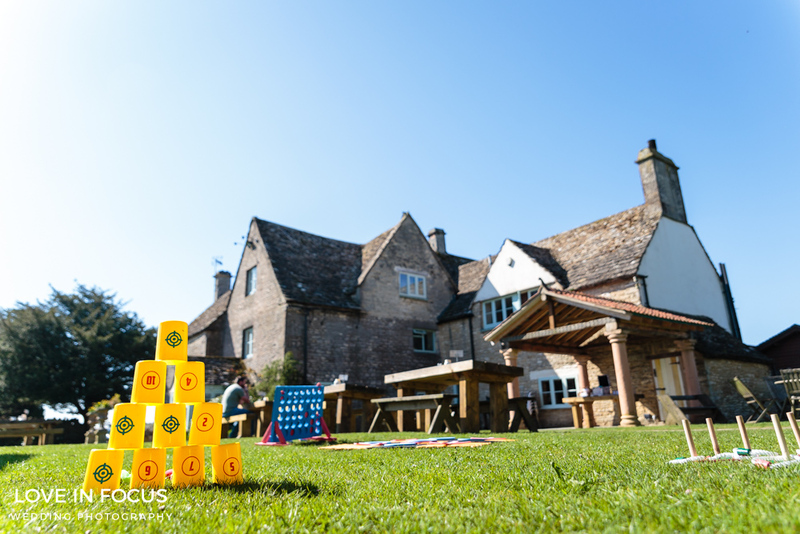 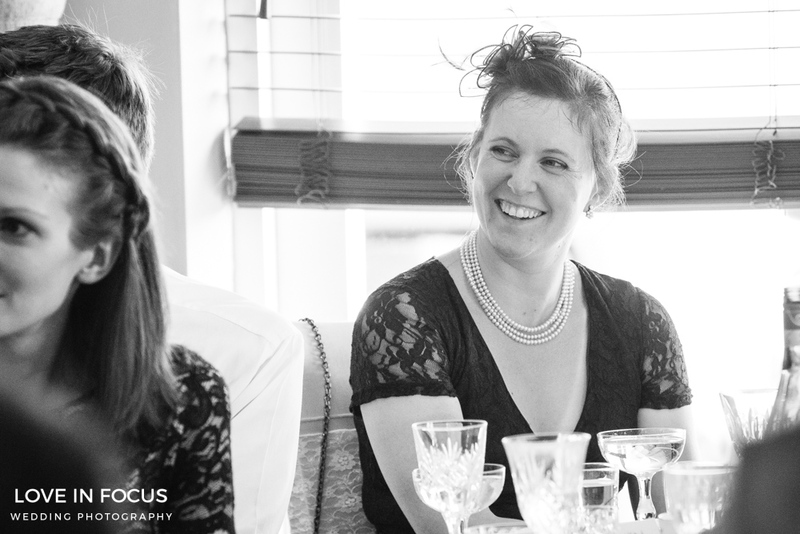 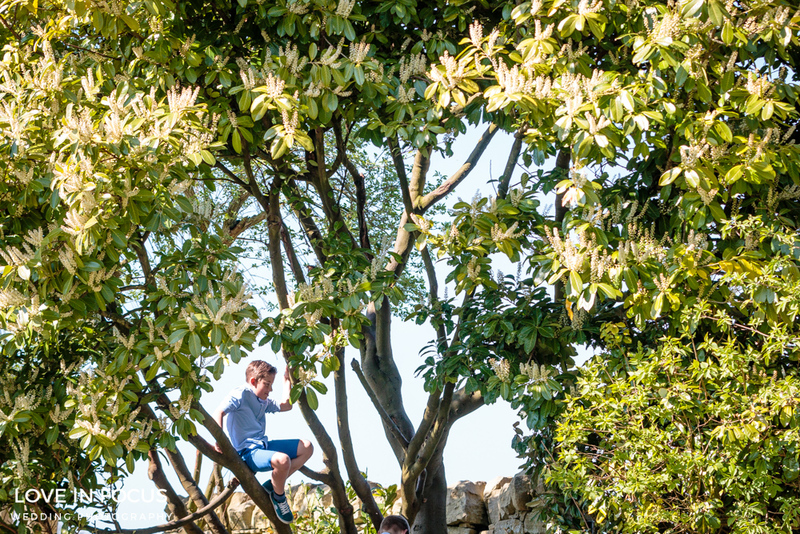 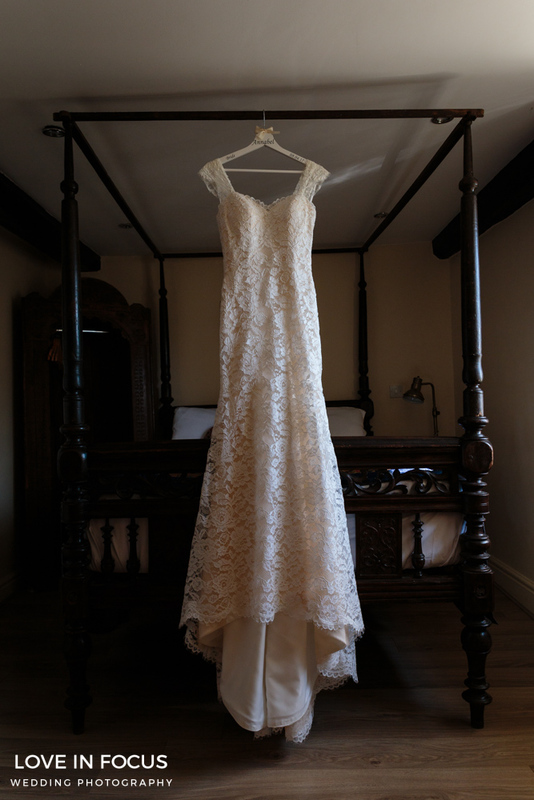 Shooting as a wedding photographer Gloucestershire at Old Lodge Minchinhampton is an absolute pleasure. 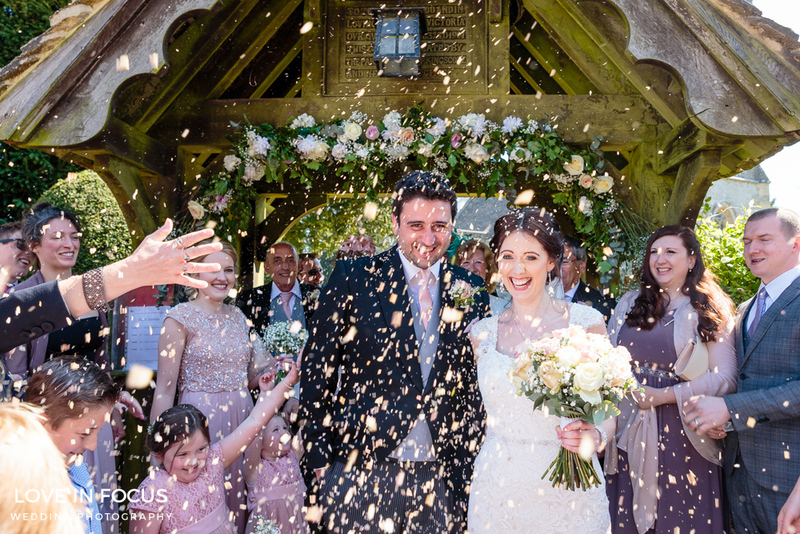 Congratulations to Annabel and Sam for getting married and creating such a wonderful day for yourselves, your family and your friends to remember. 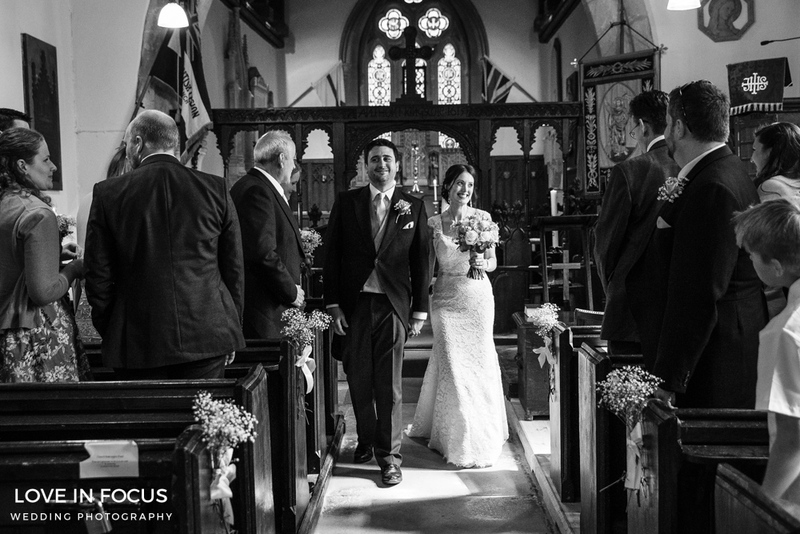 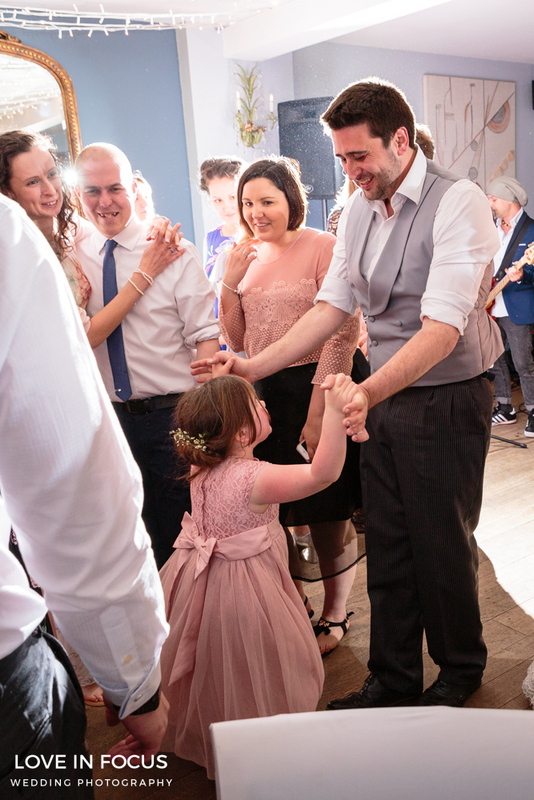 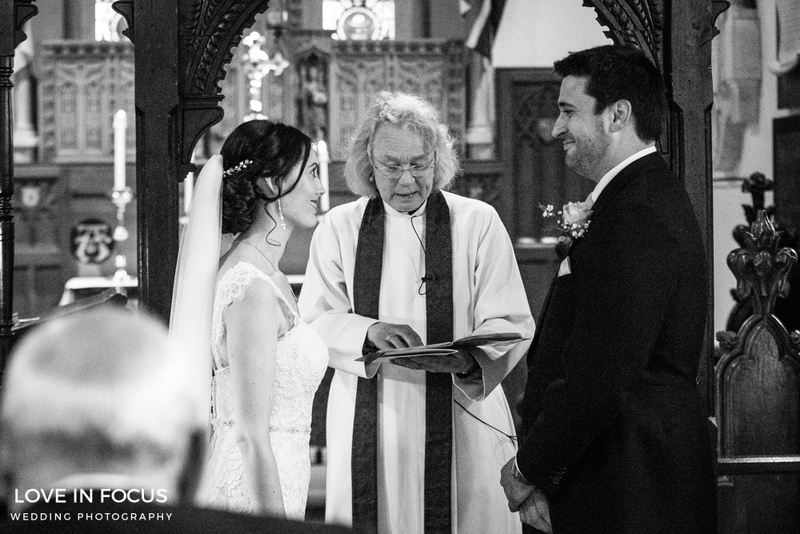 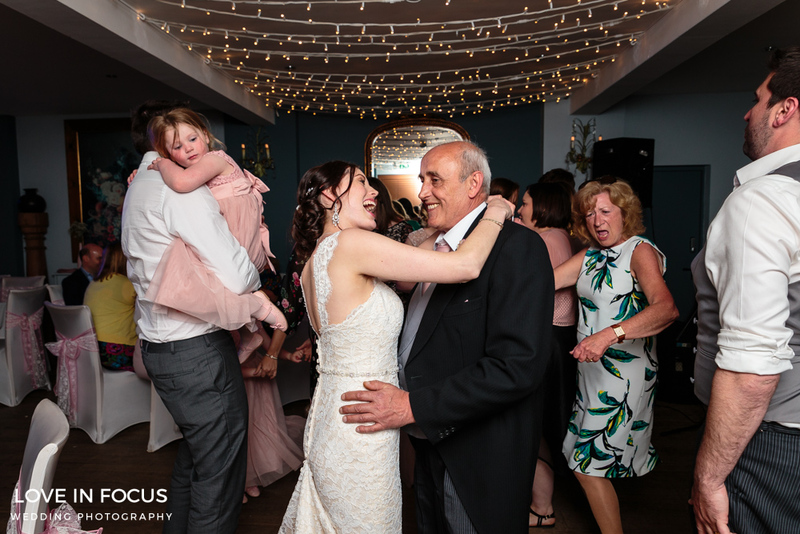 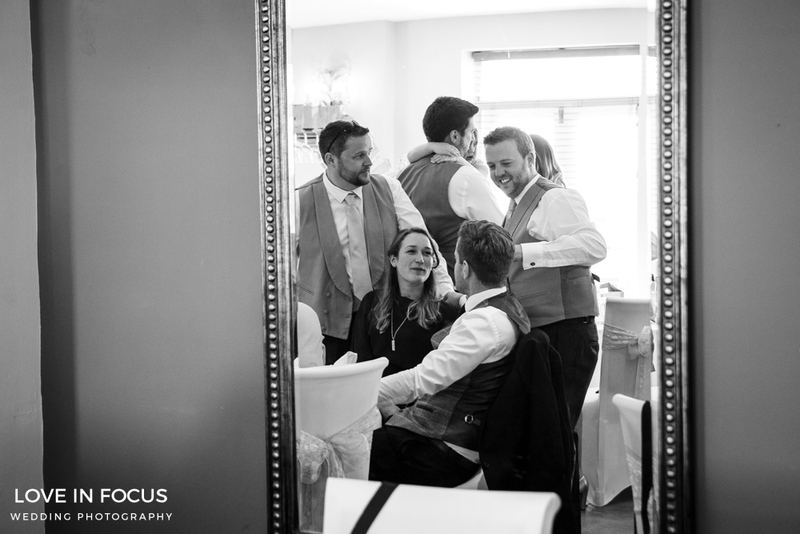 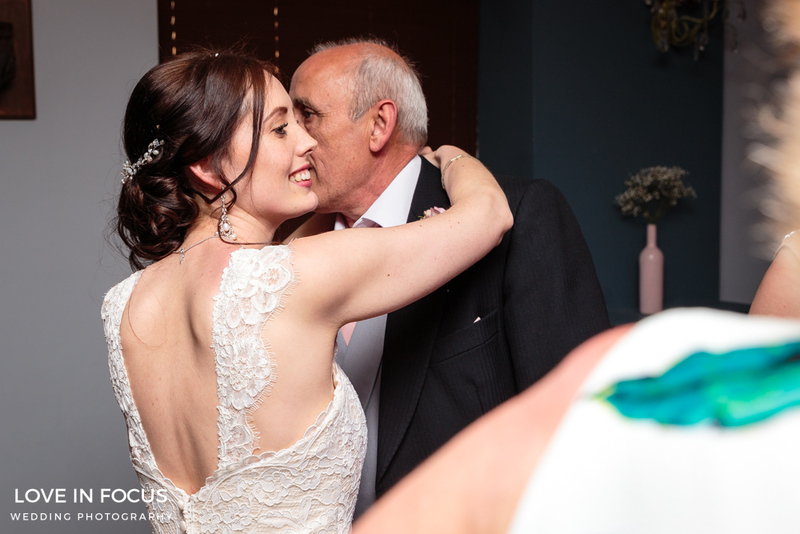 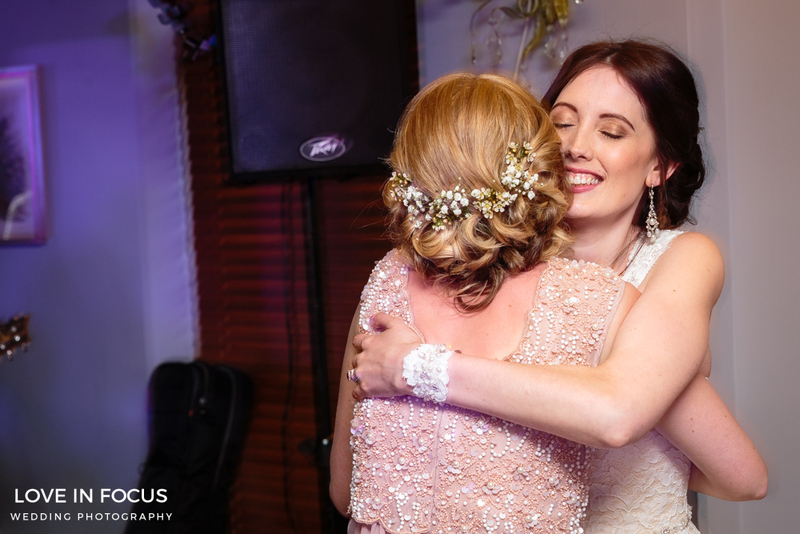 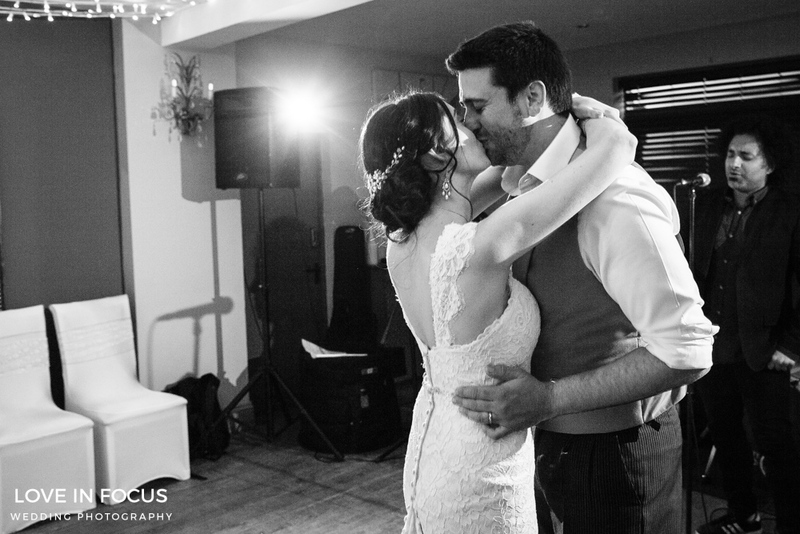 And for me to remember too, your wedding encompassed everything I love about shooting Gloucestershire wedding photography.